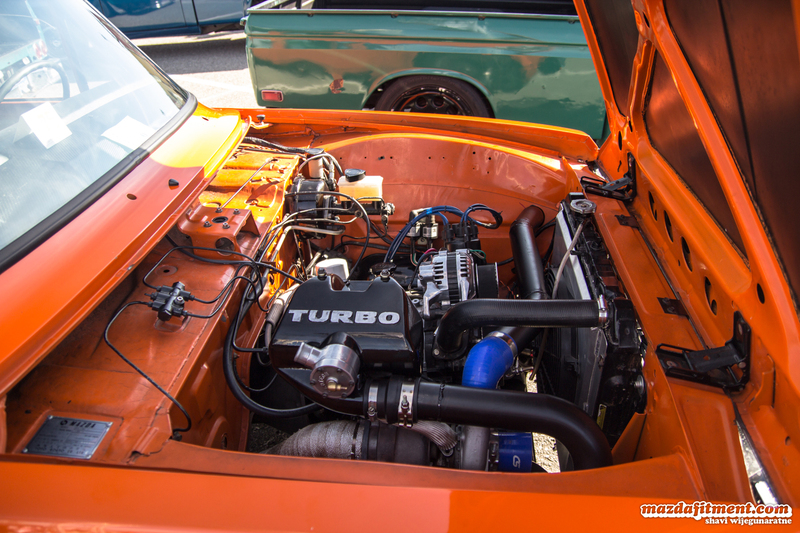 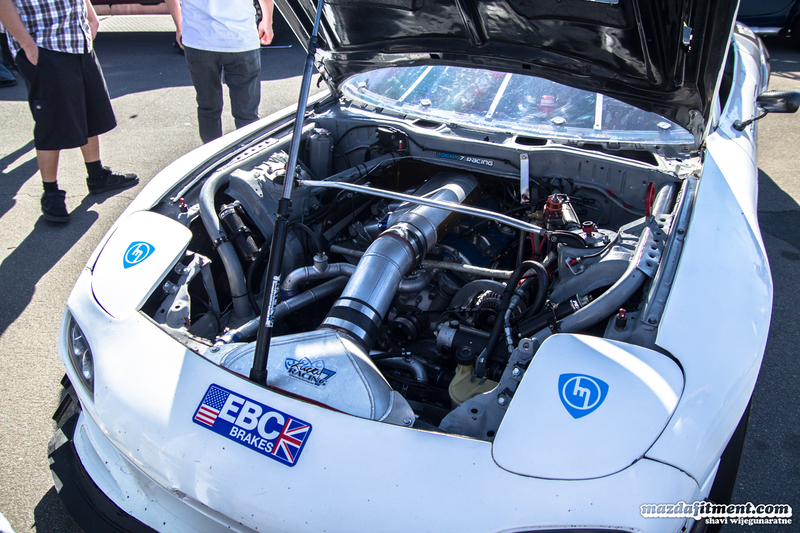 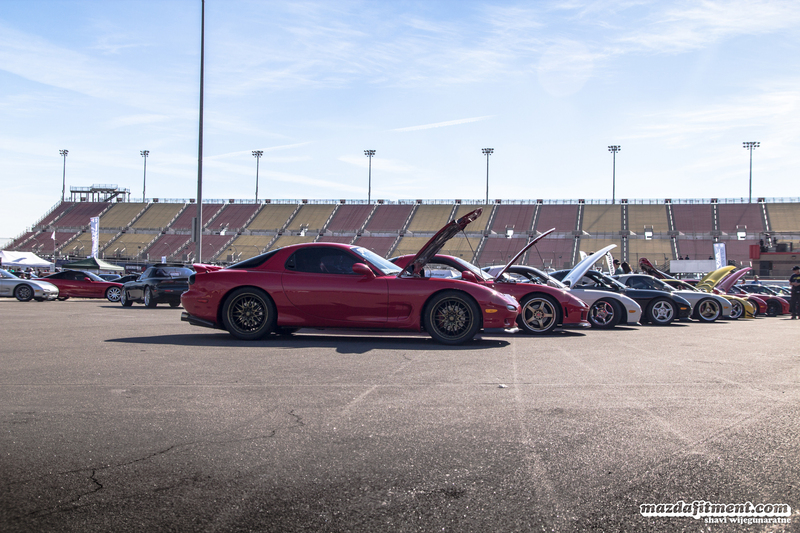 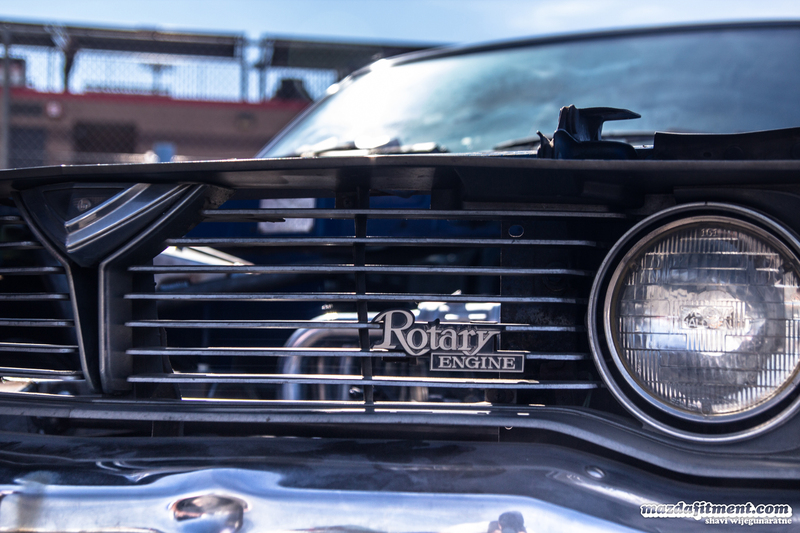 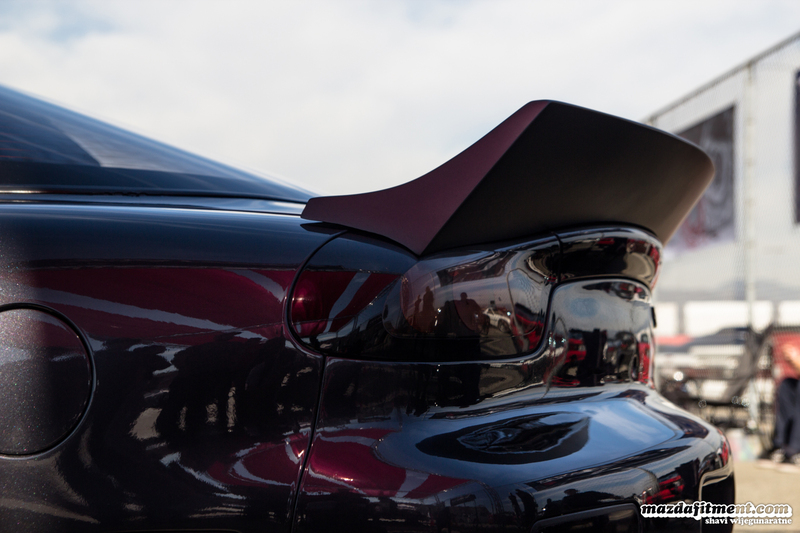 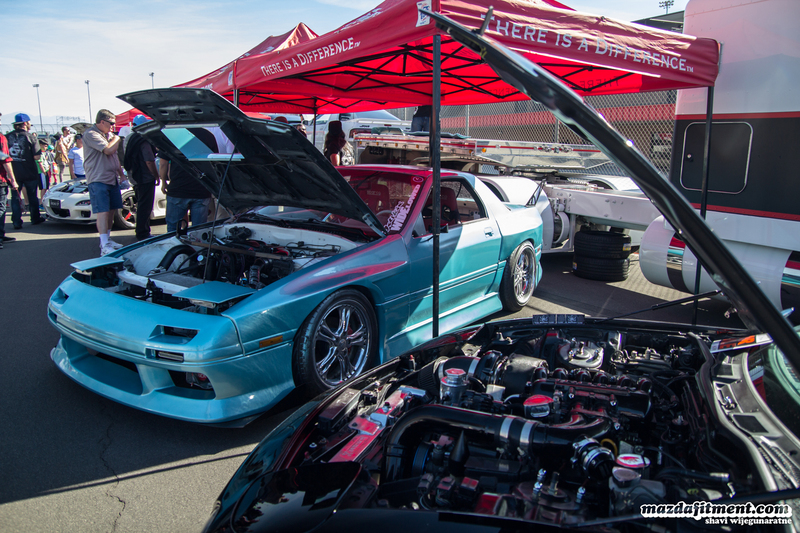 SevenStock is one of the largest rotary powered engine gatherings in the world since 1998. 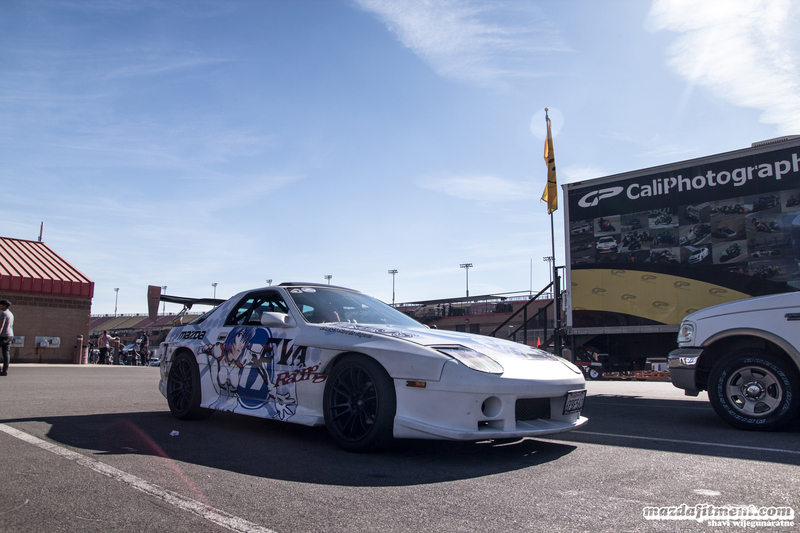 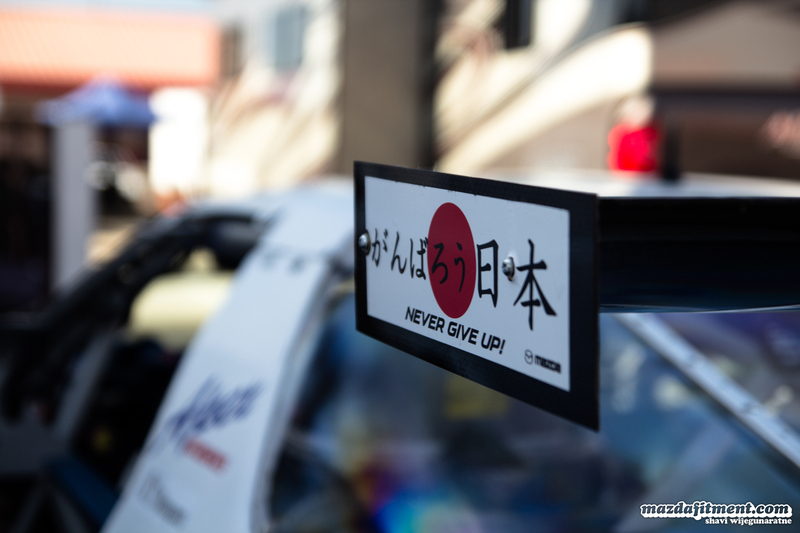 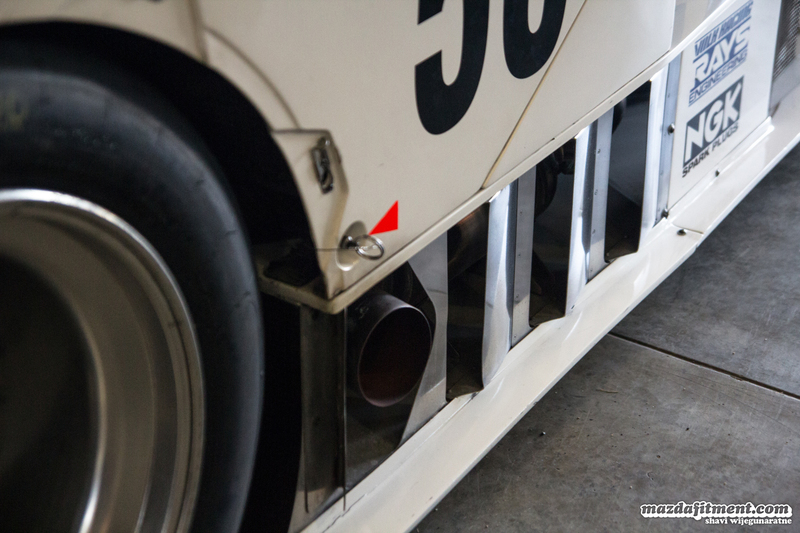 The mission behind this event has barely changed at all 17 years later as it is still for enthusiasts by enthusiasts. 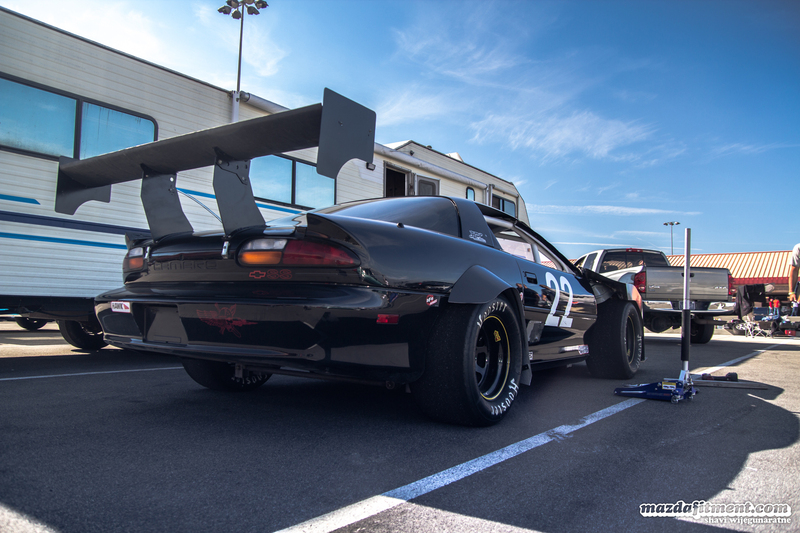 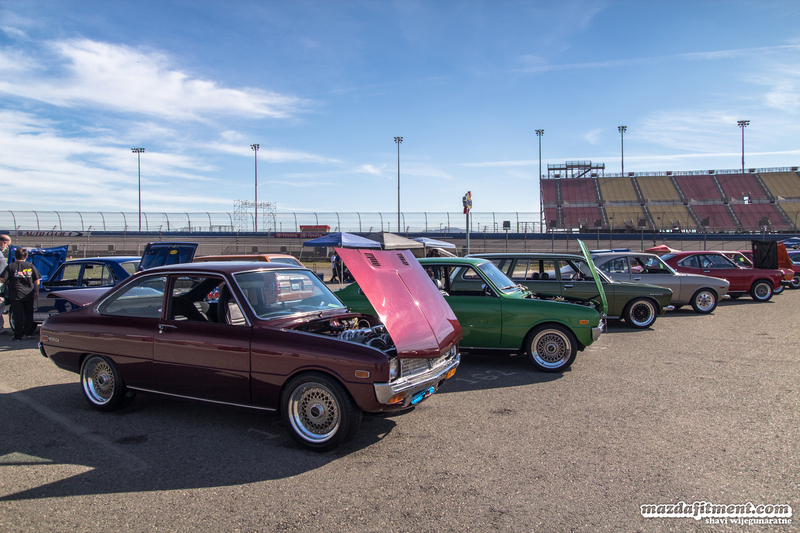 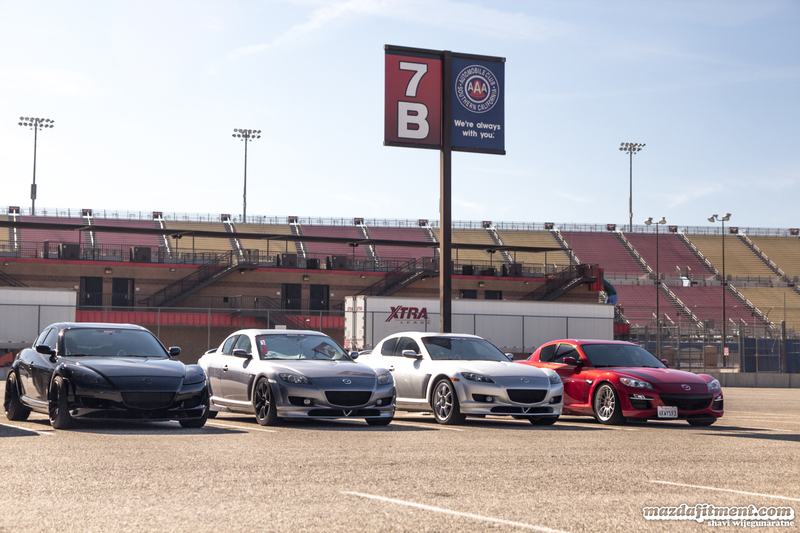 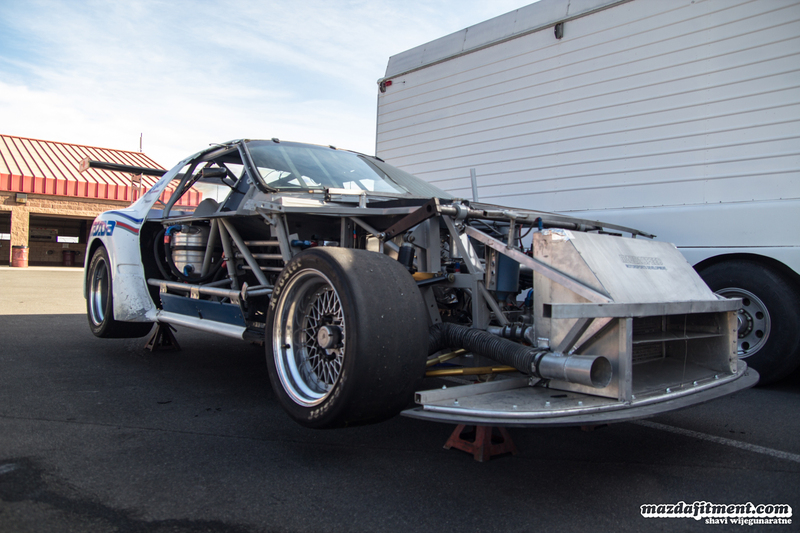 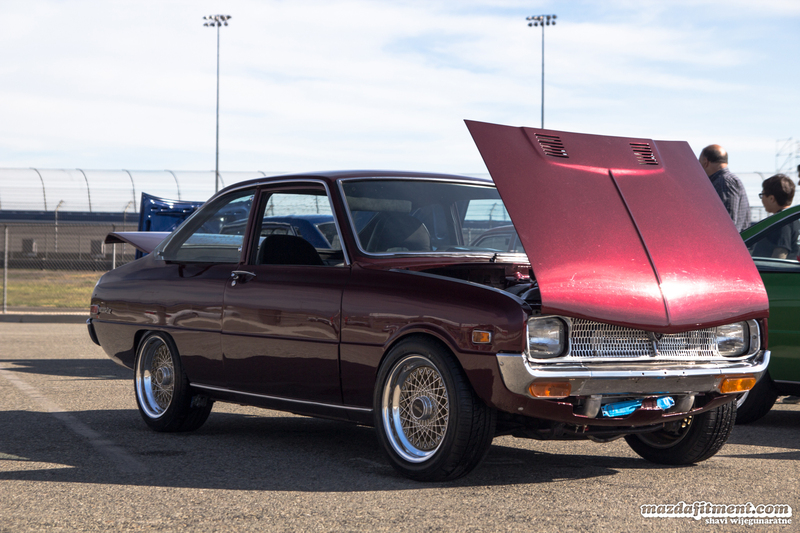 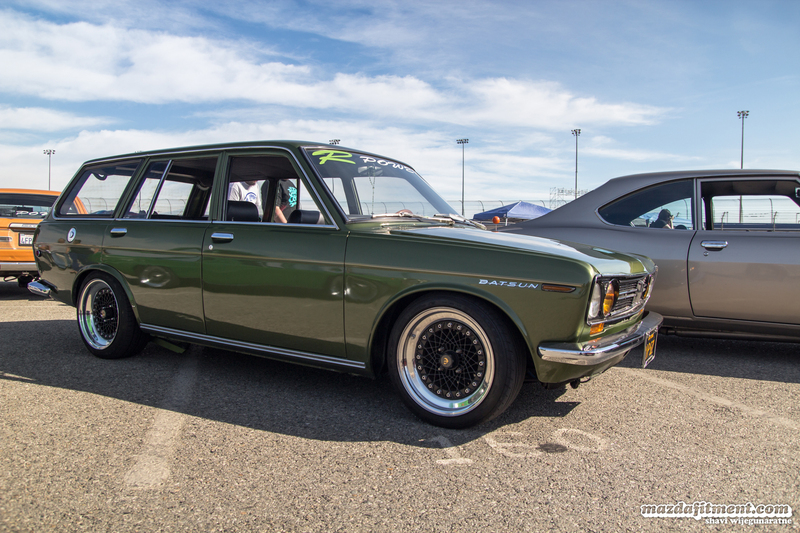 SevenStock 17 was held at Auto Club Speedway in Fontana, California, which has plenty of space for those showing support by having their car in the show area or putting their car out on the track. 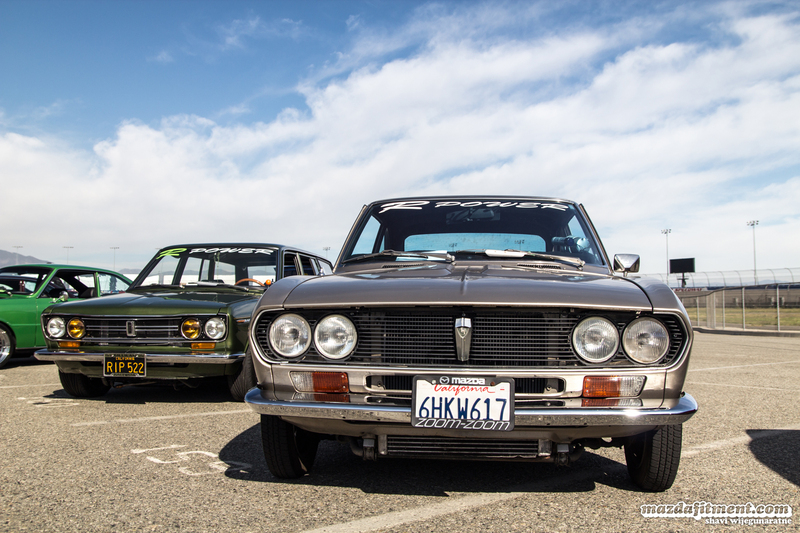 Some cars we spotted in the spectator parking area. 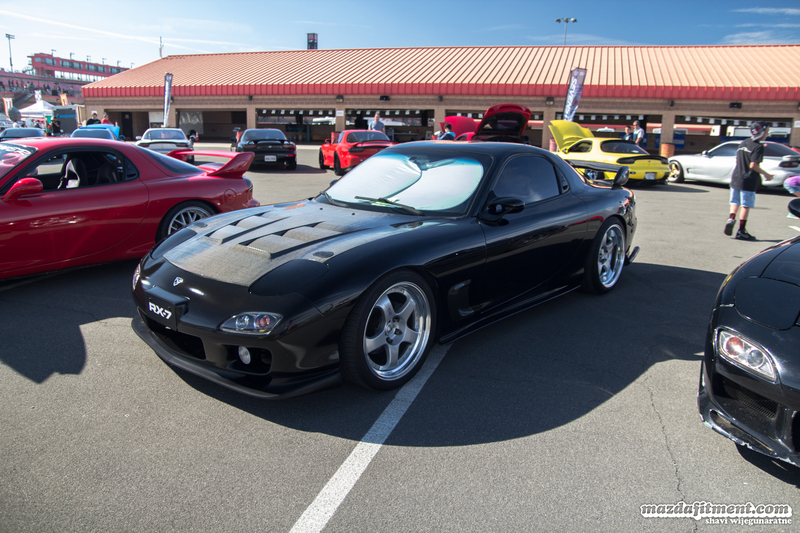 Not a rotary. 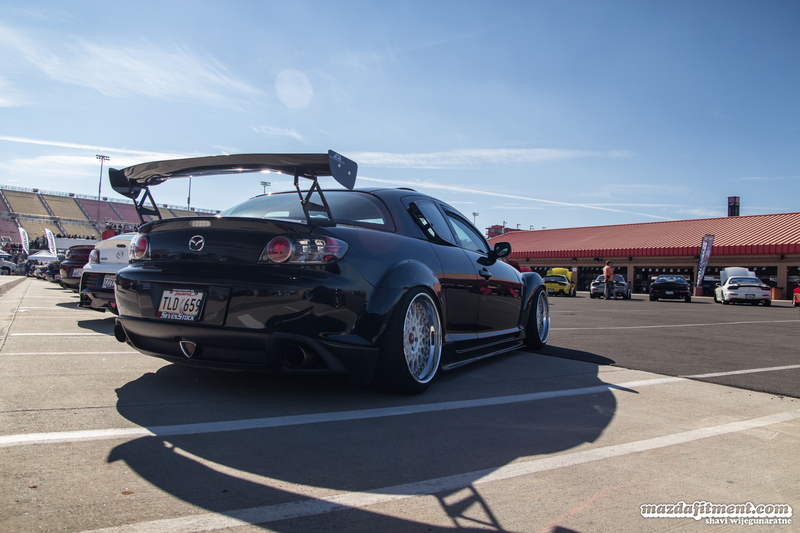 Spotted this 1st generation Mazdaspeed3 on Enkei NT03s. 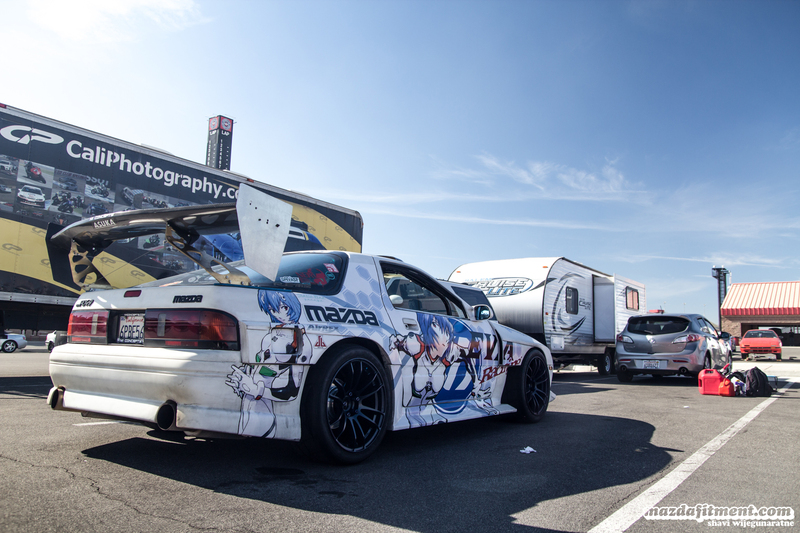 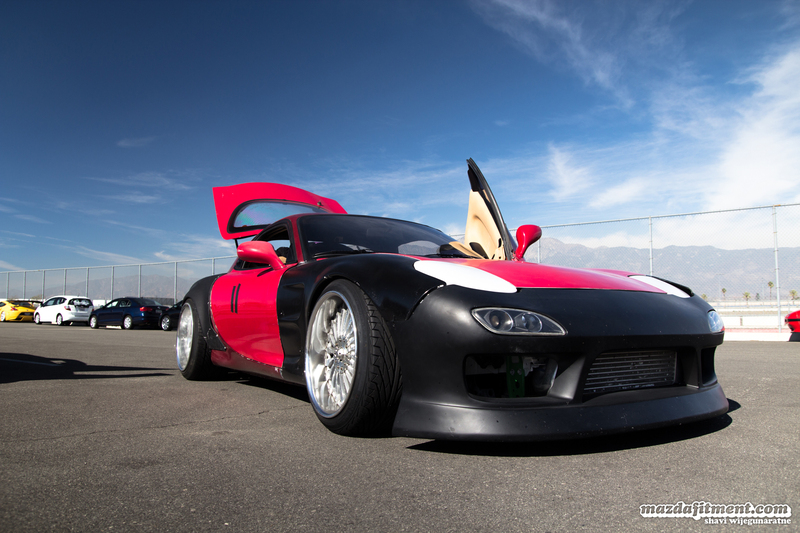 Neon Genesis Evangelion Itashi FC RX-7 on WedsSport. 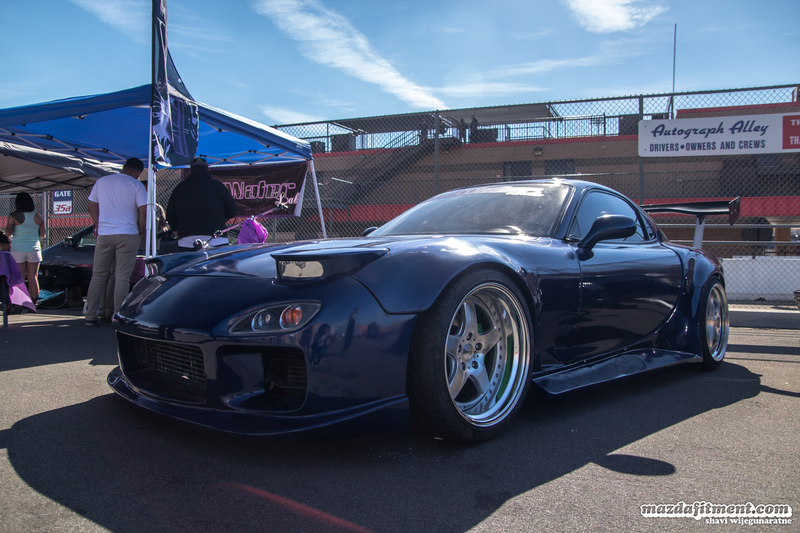 Another none rotary. 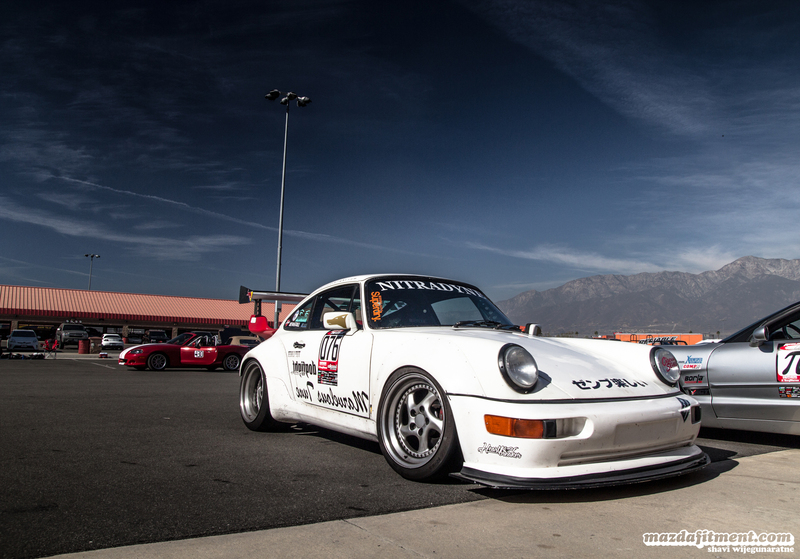 Amir’s 1976 Porsche 911S. 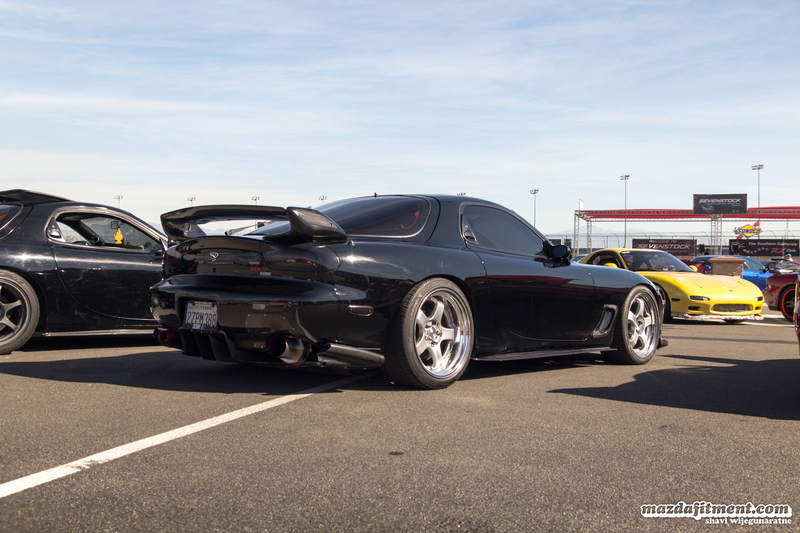 Hot Water Labs super wide body FB RX-7. 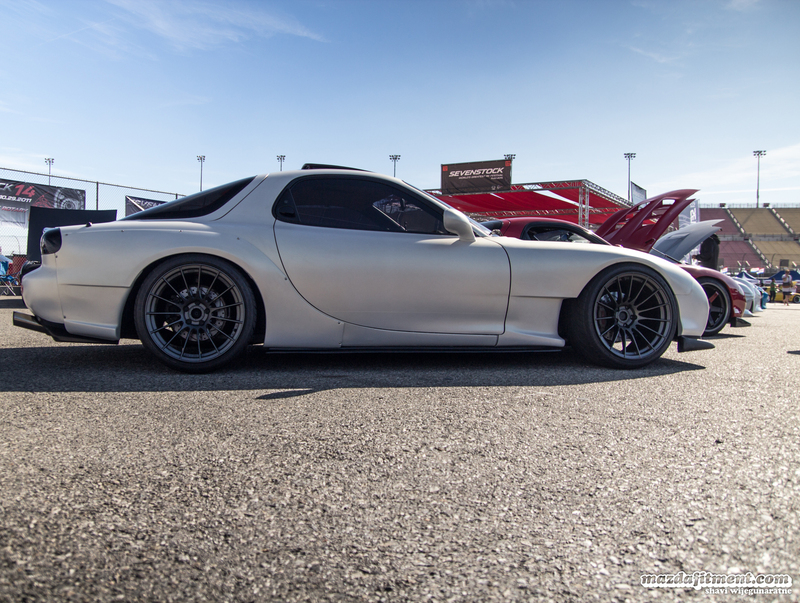 Hot Water Labs FD RX-7 on K-Break wheels. 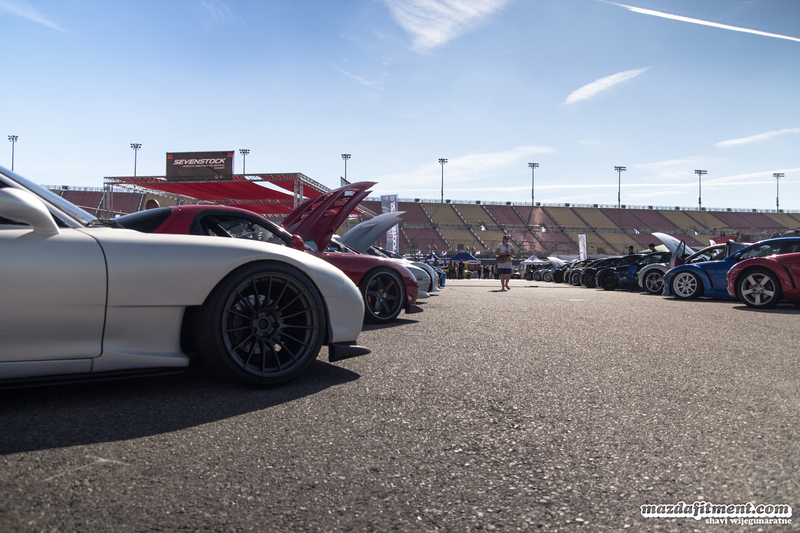 The common sighting of people looking into the hearts of these beasts. 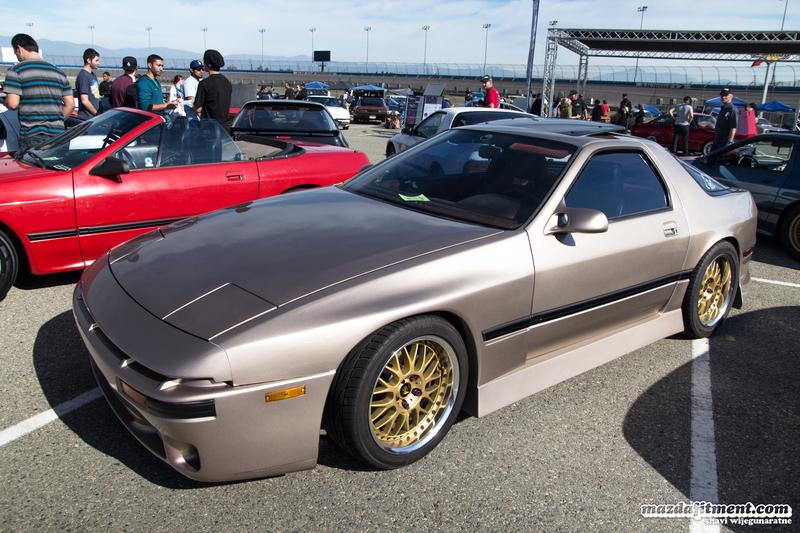 Loved this FC RX-7 on Work Equips. 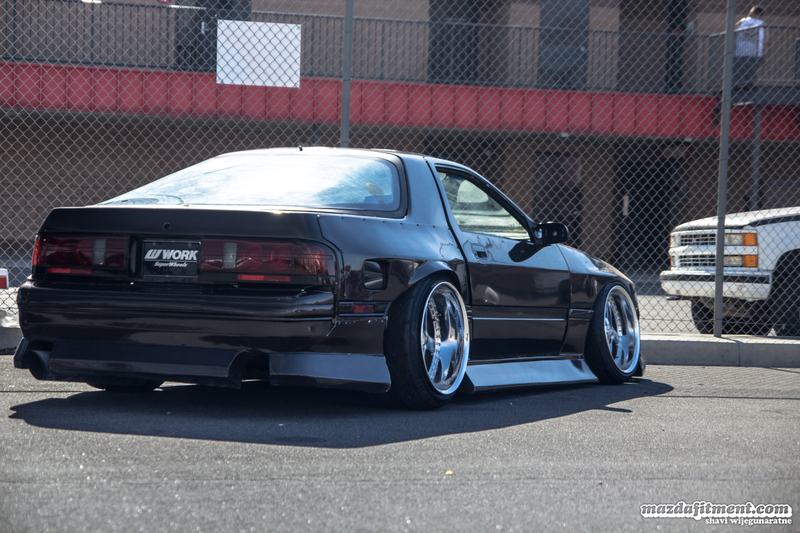 Too clean. 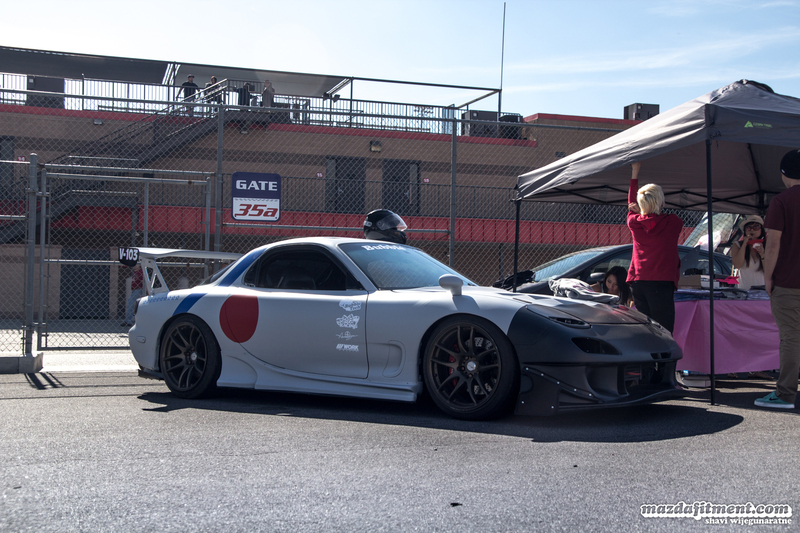 One if the many cars that were out on the track. 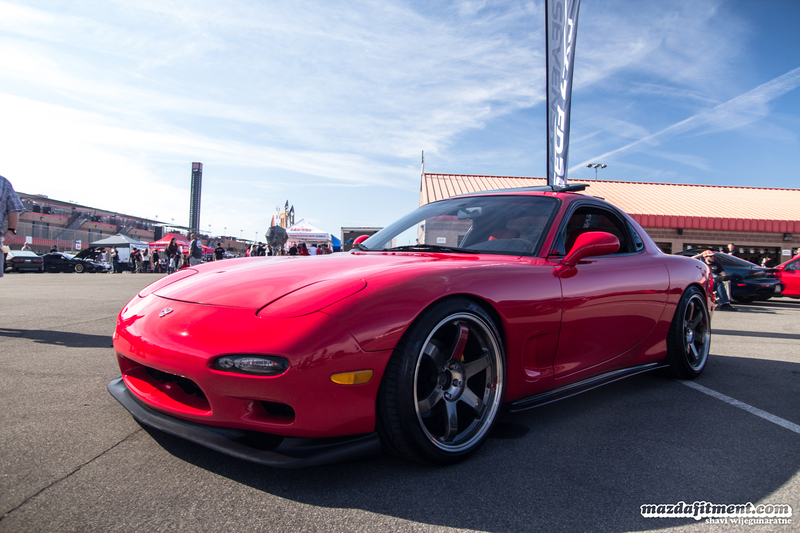 FC RX-7 on Enkei RPF1s. 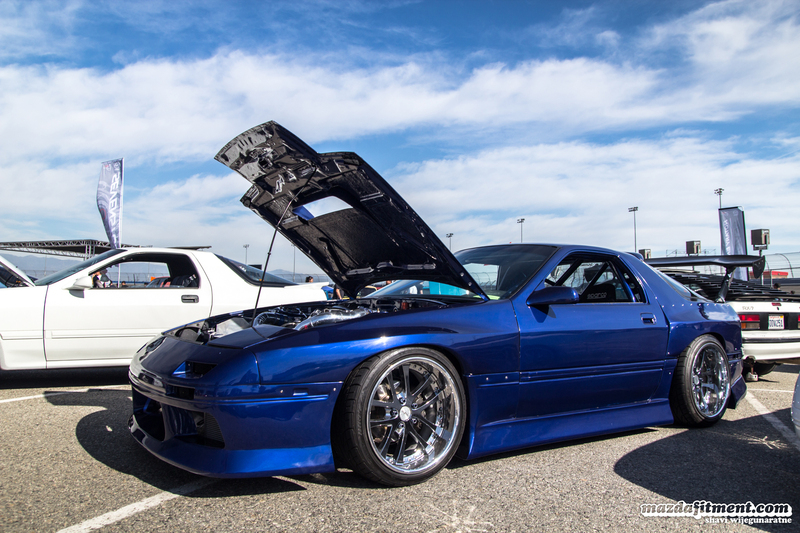 FC RX-7 on SSR MS1. 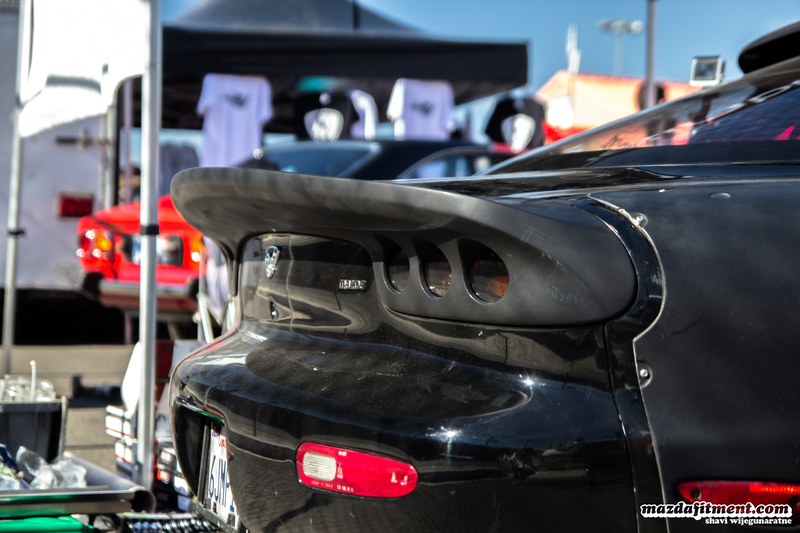 There were plenty of cars with all levels of poke. 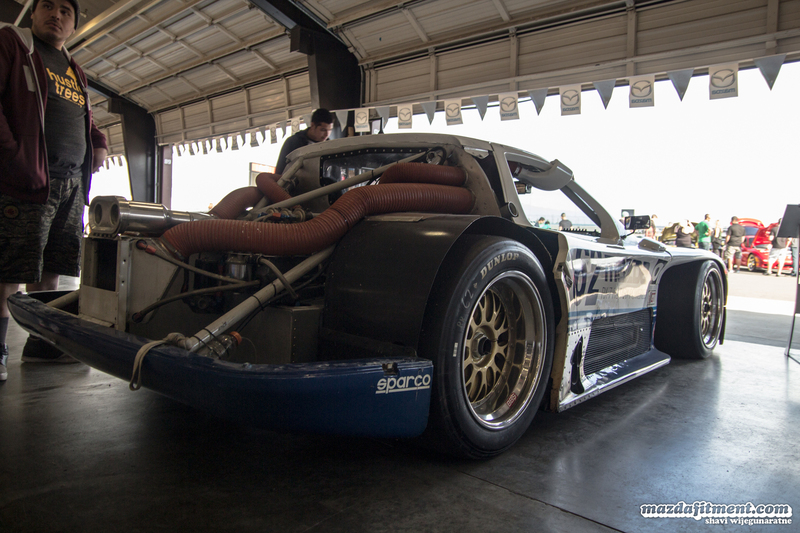 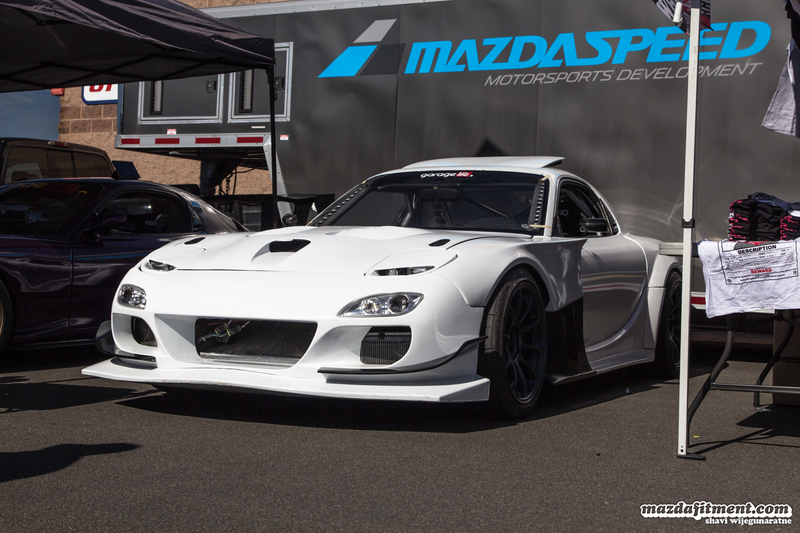 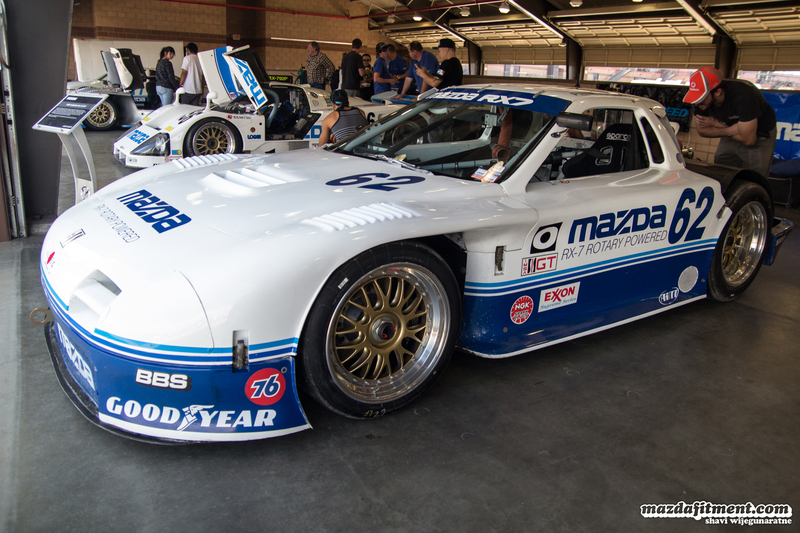 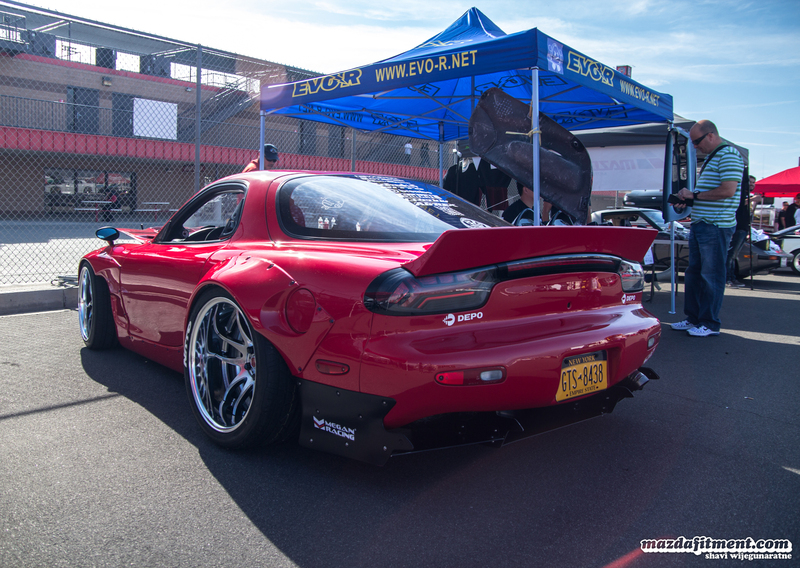 Like this FD RX-7 on Weds Kranze Bazreia. 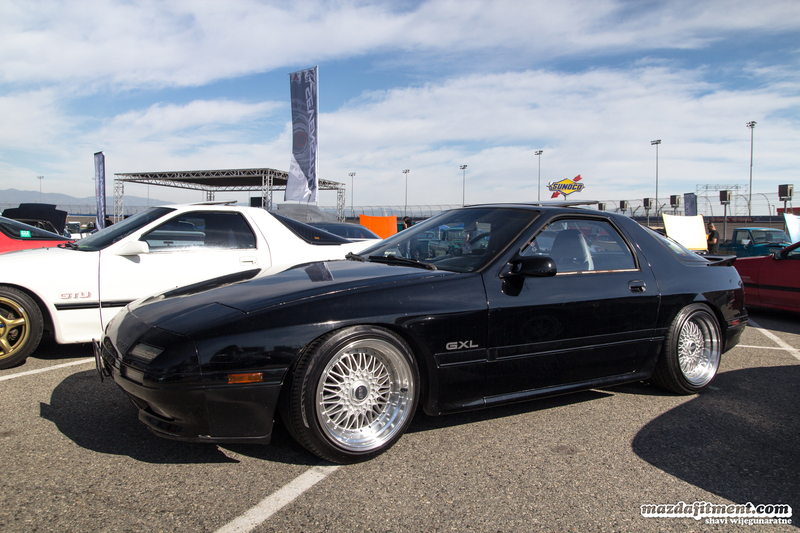 Older rotary models in the sea of 7s and 8s. 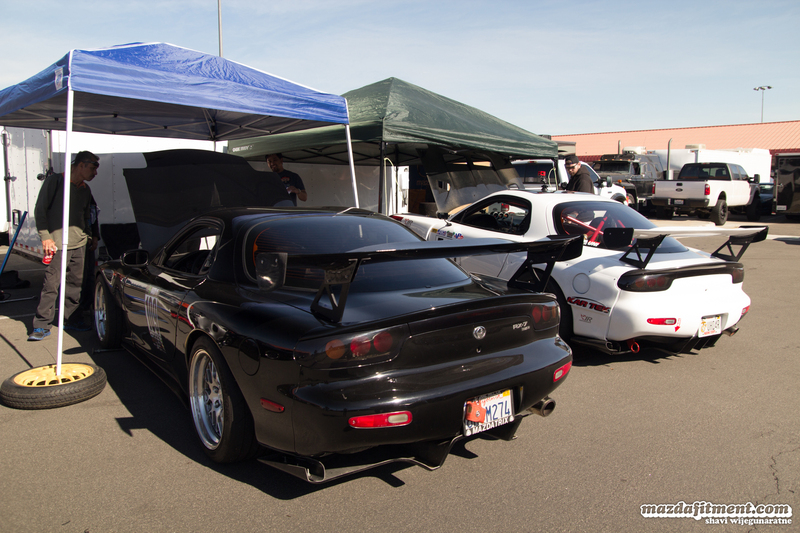 Garage Life FC RX-7 spotted in one of the docks. 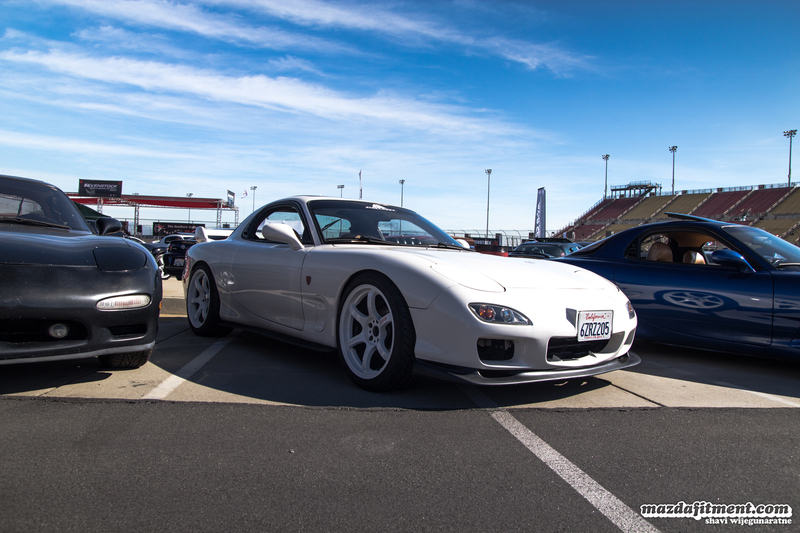 A non-rotary and non-mazda. 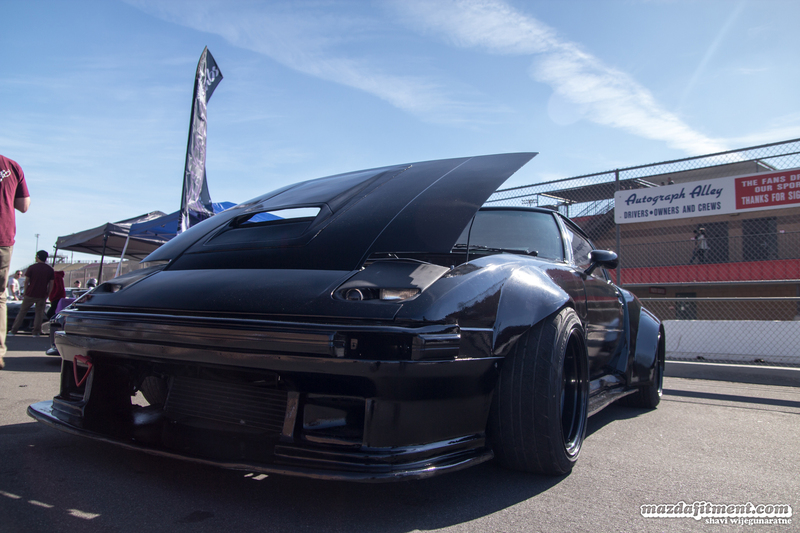 This Chevy Camaro was nuts. 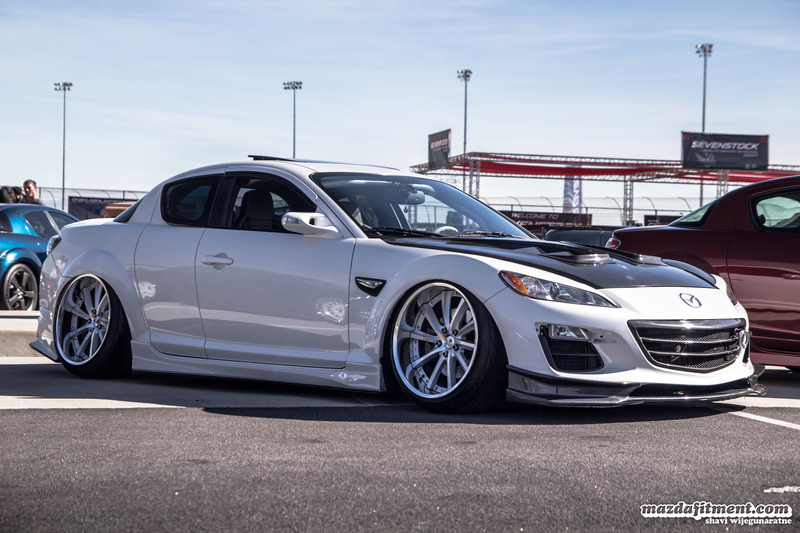 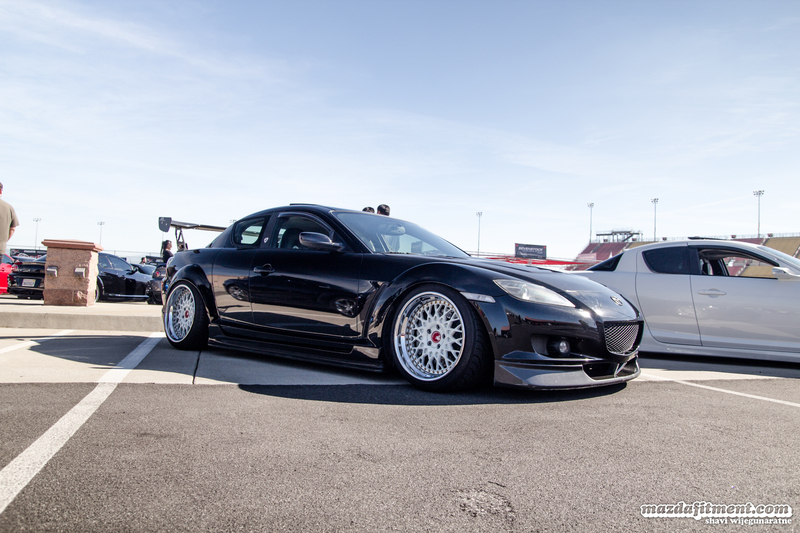 Track and VIP inspired RX-8 on Avant Garde wheels. 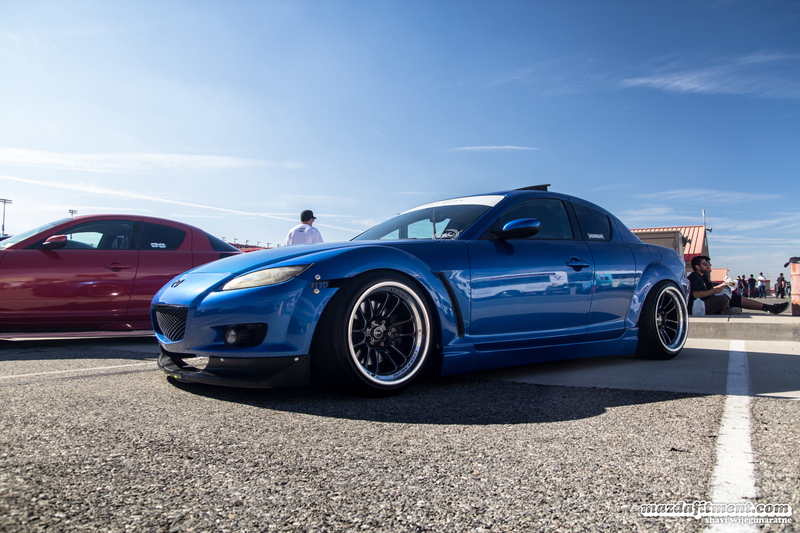 Izzy’s RX-8 on Weds Kranze Vishnu. 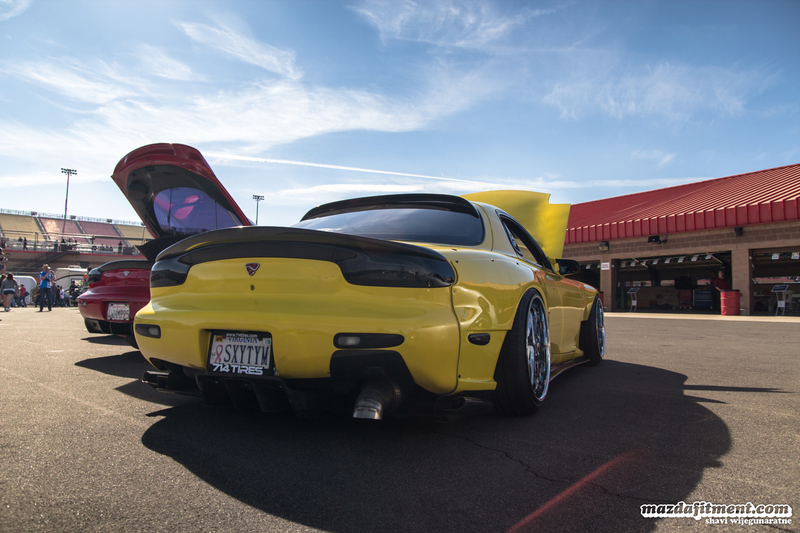 Loved this yellow FD RX-7 on Work VS-KF. 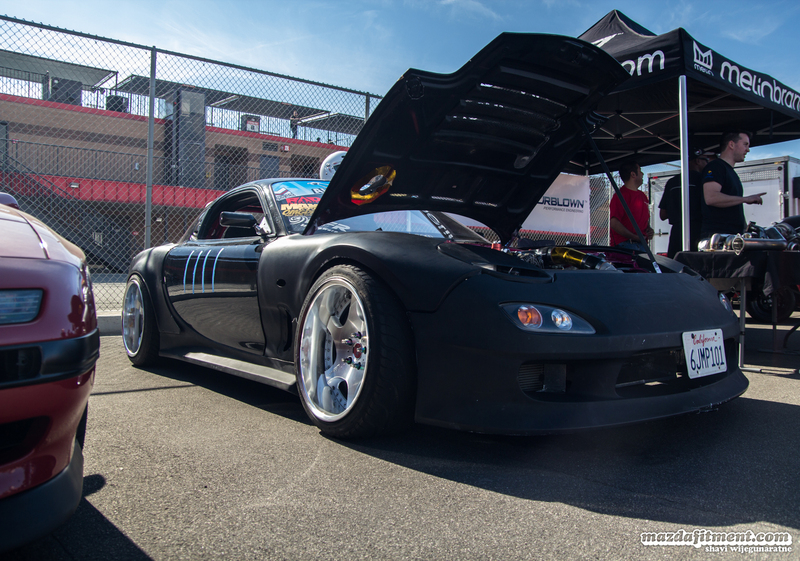 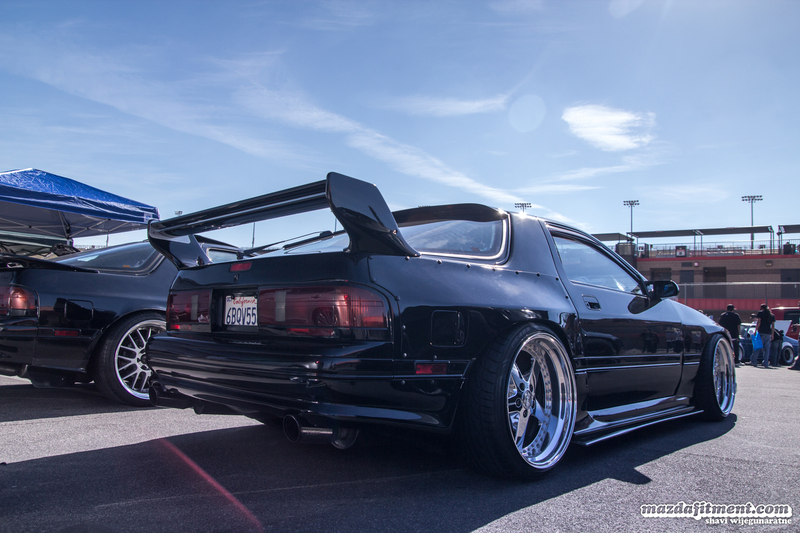 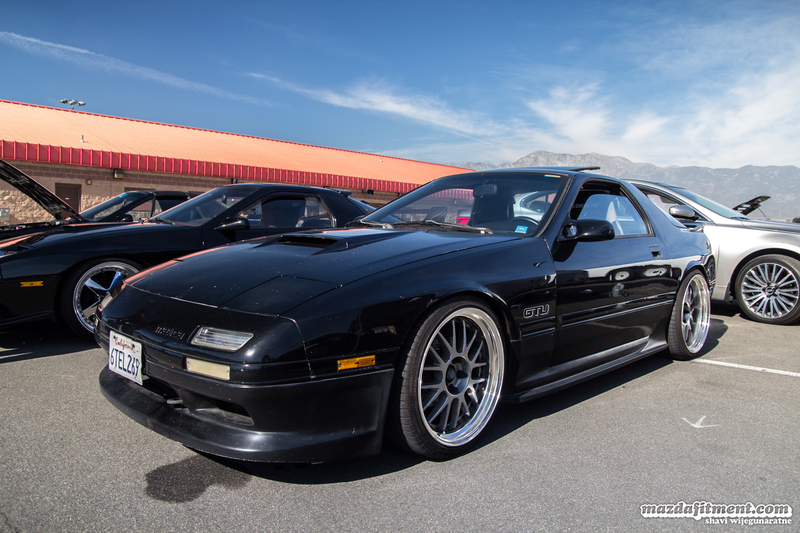 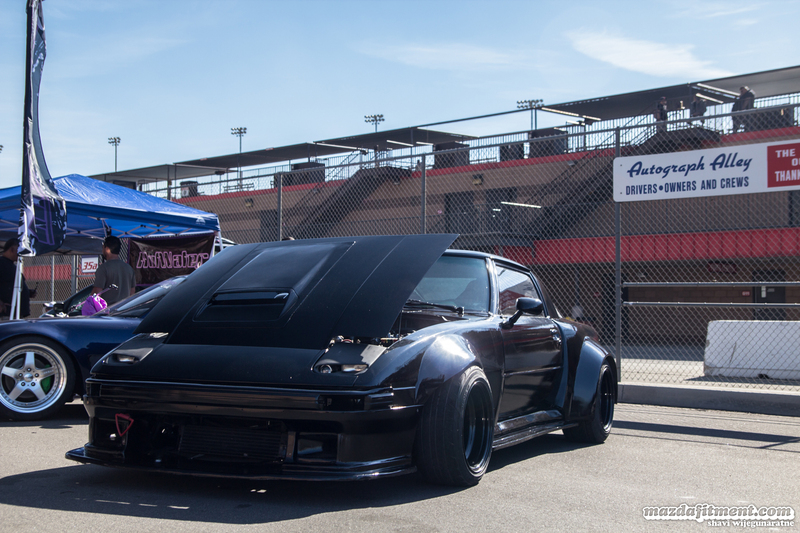 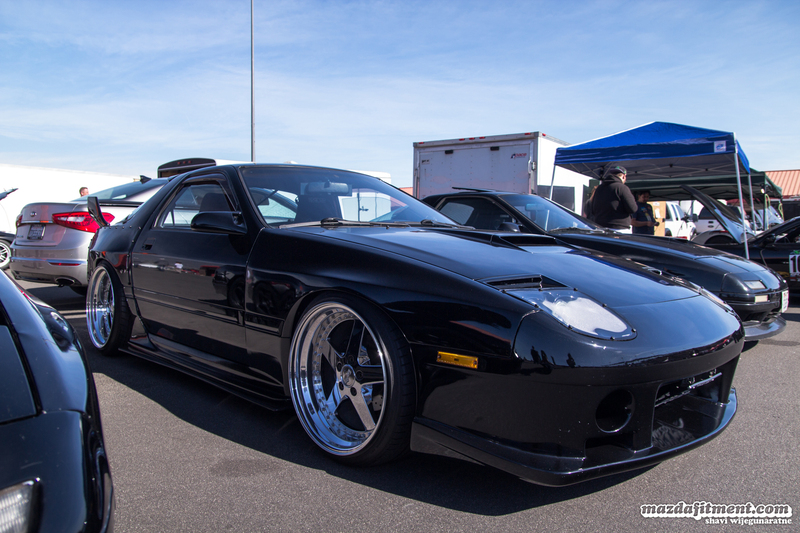 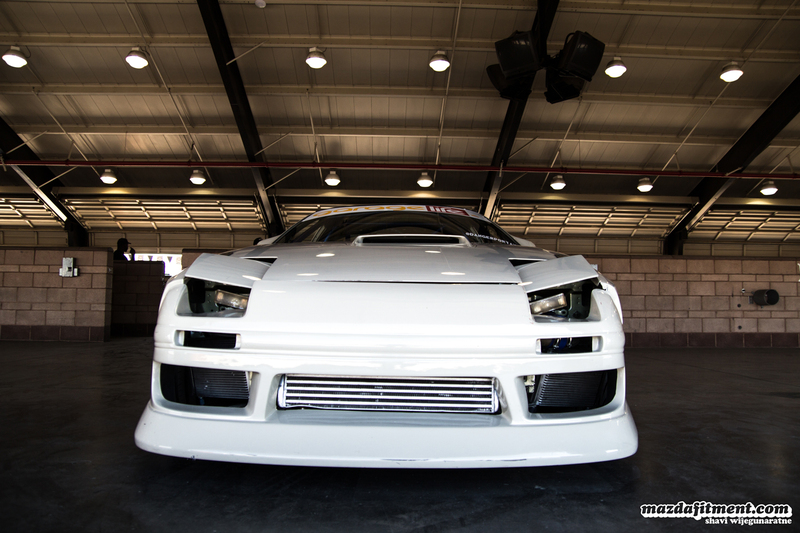 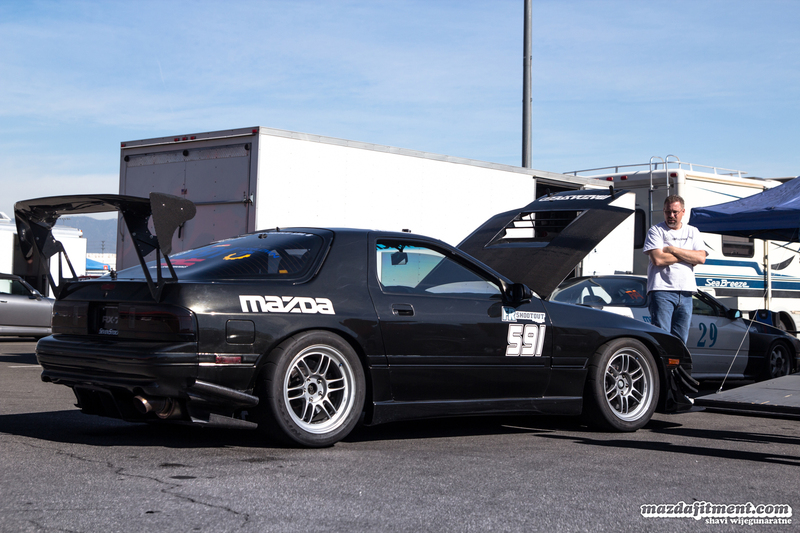 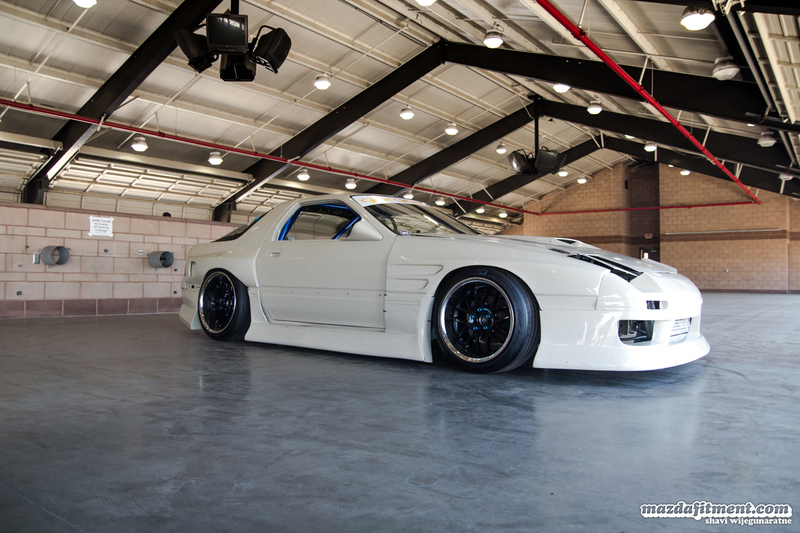 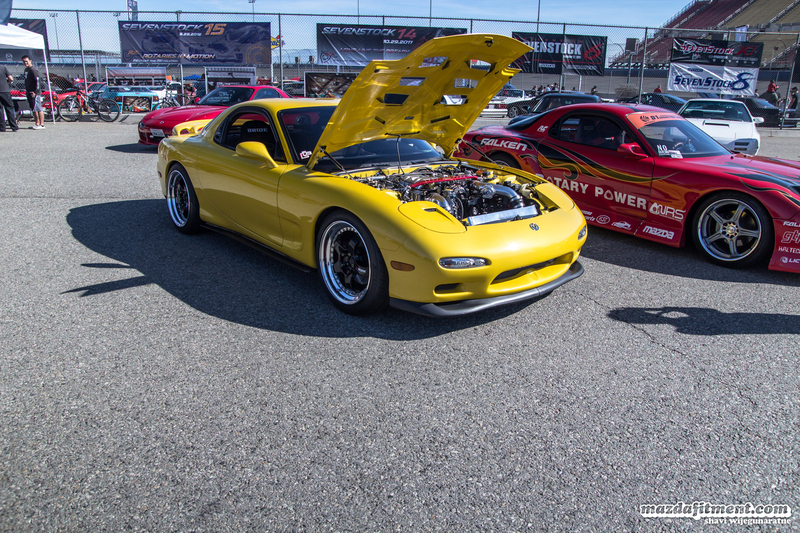 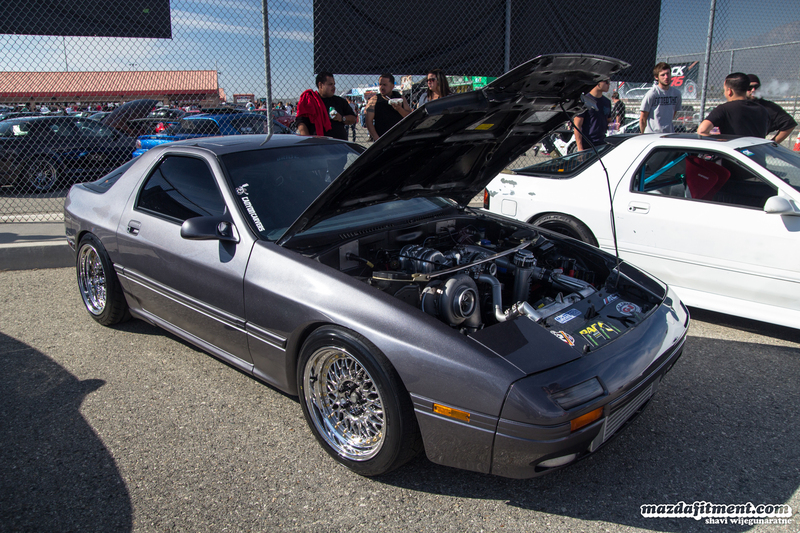 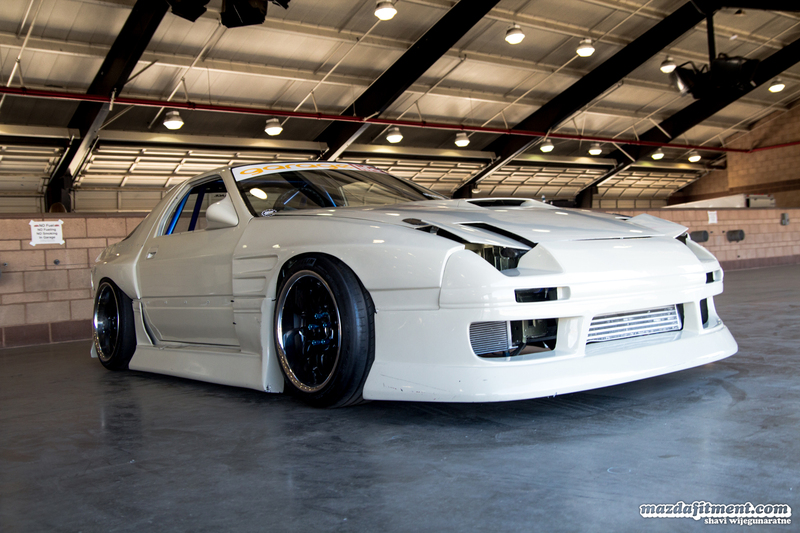 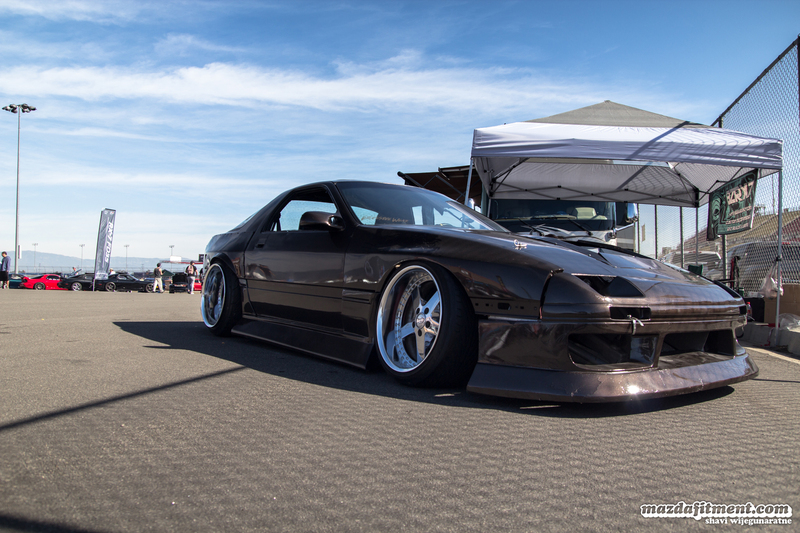 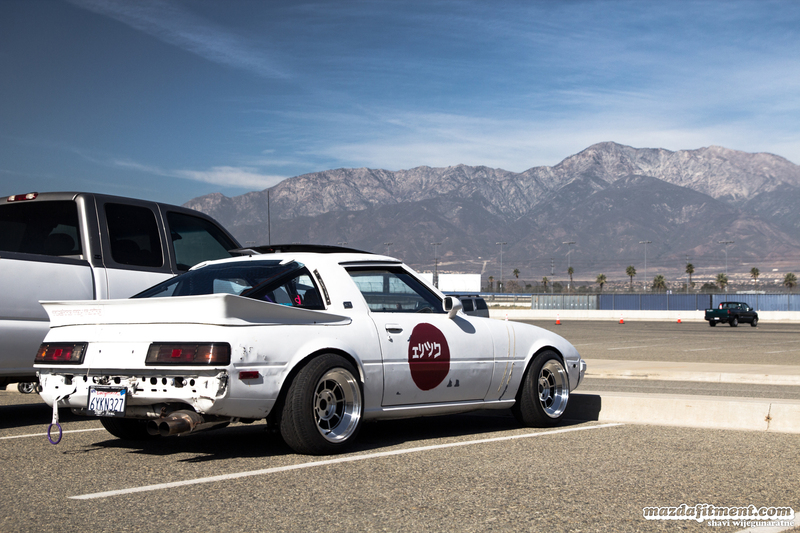 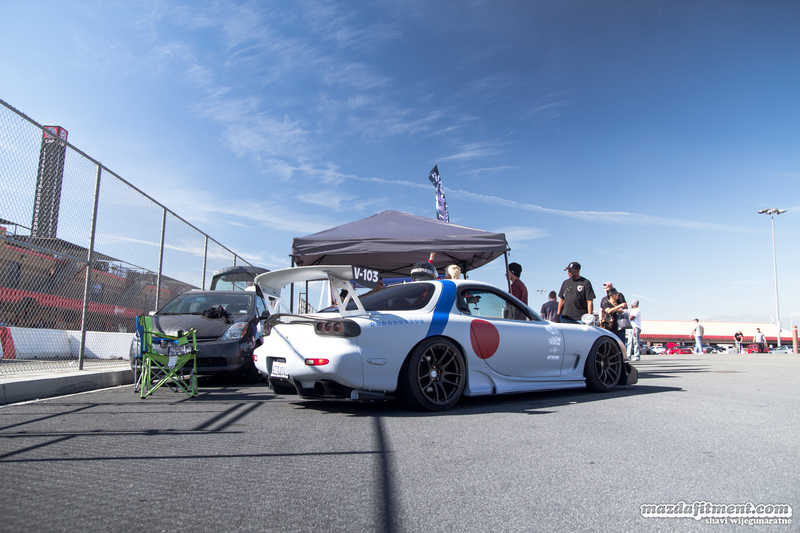 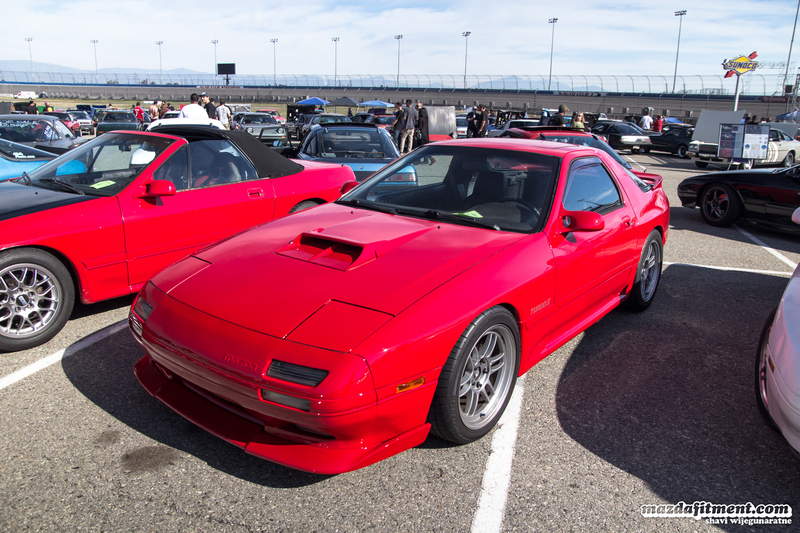 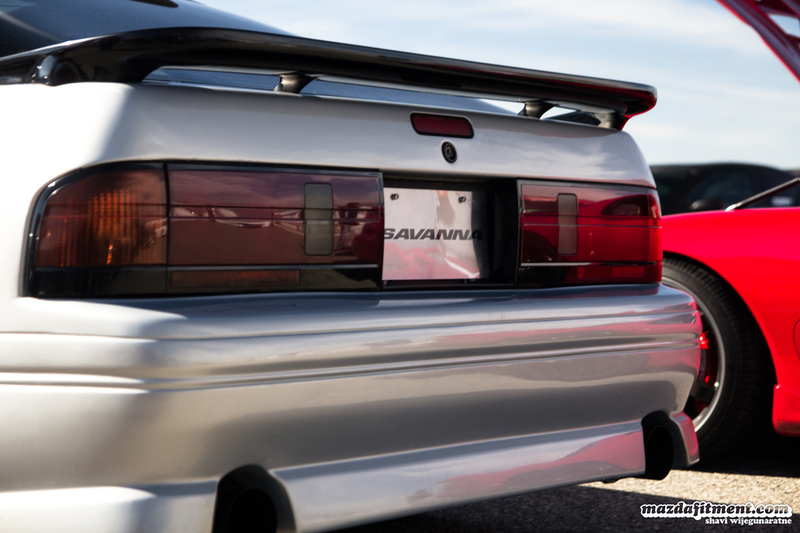 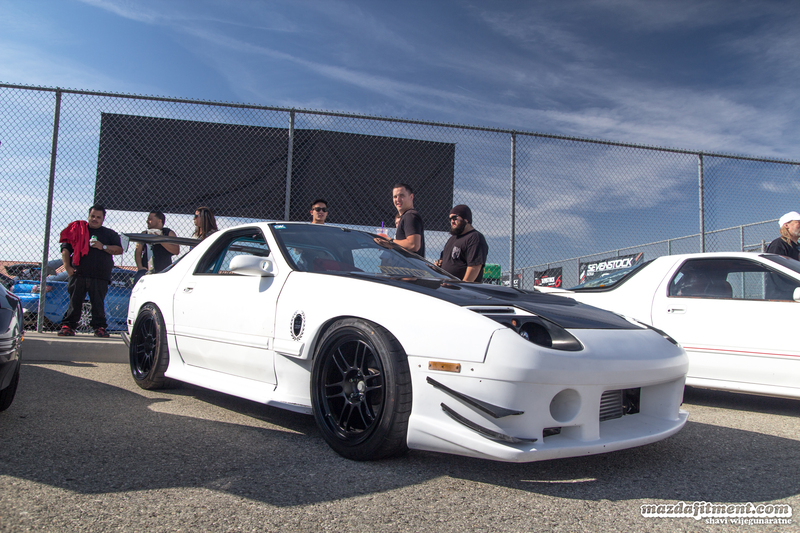 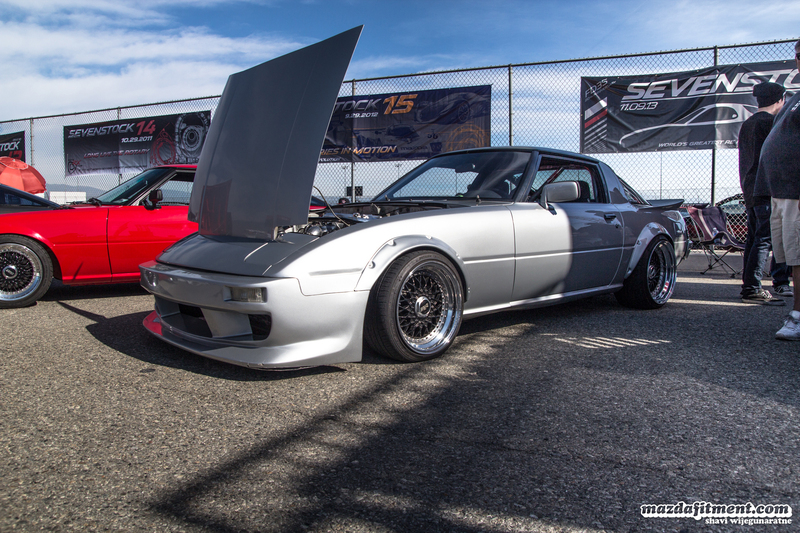 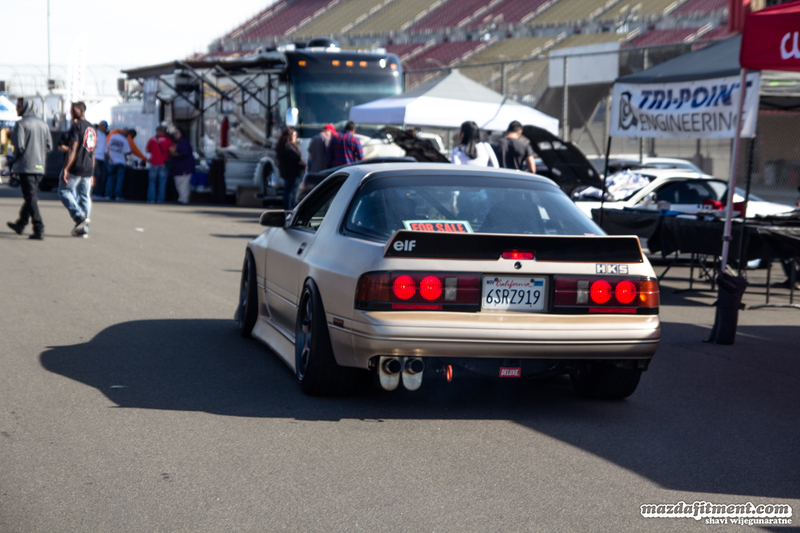 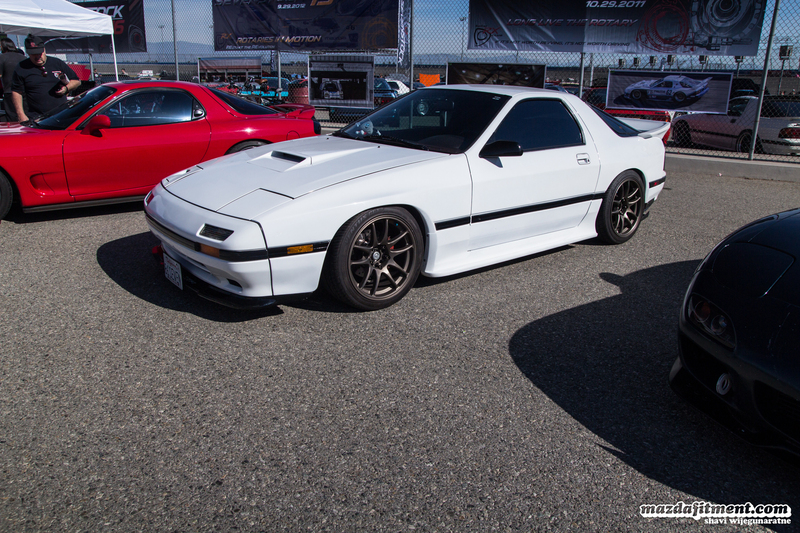 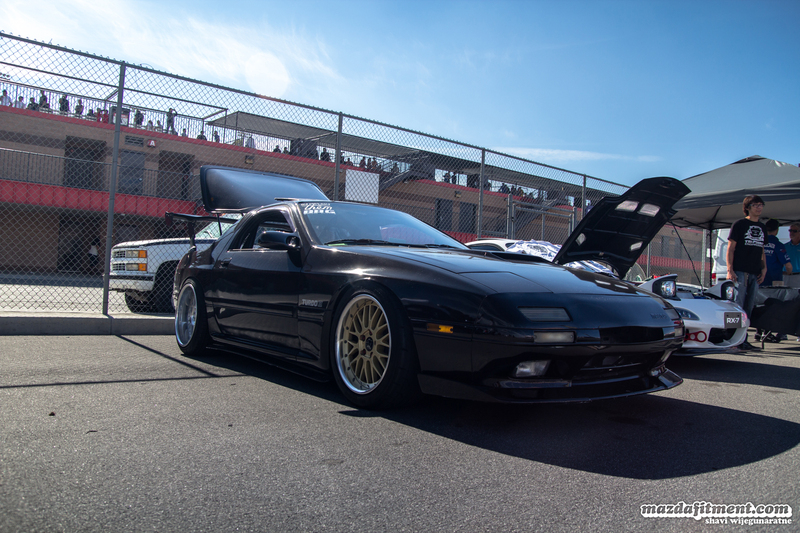 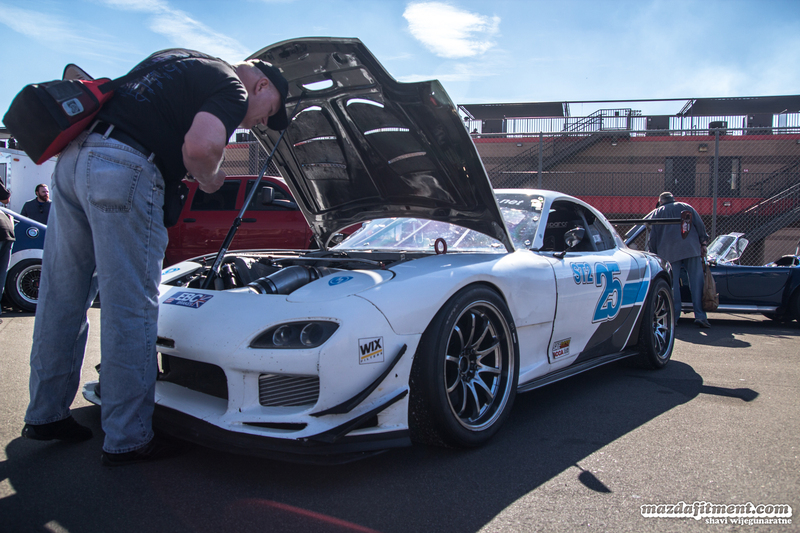 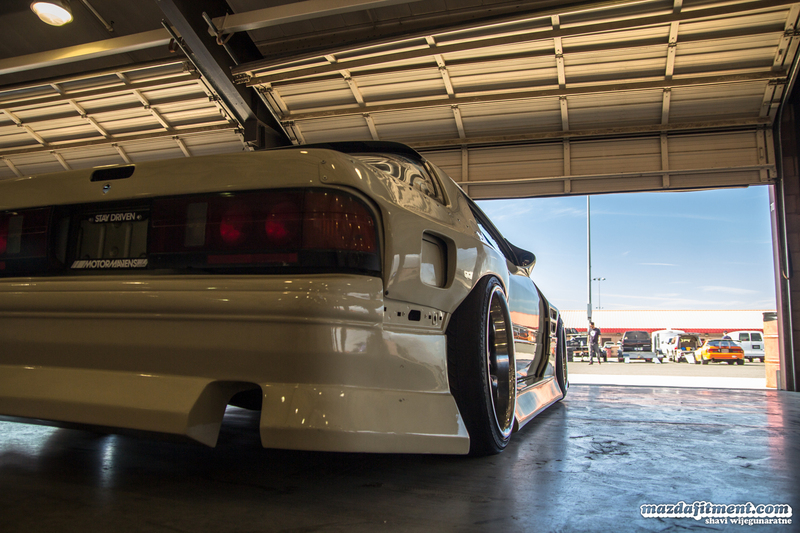 This FC RX-7 was pretty on point with a set of Work Equips. 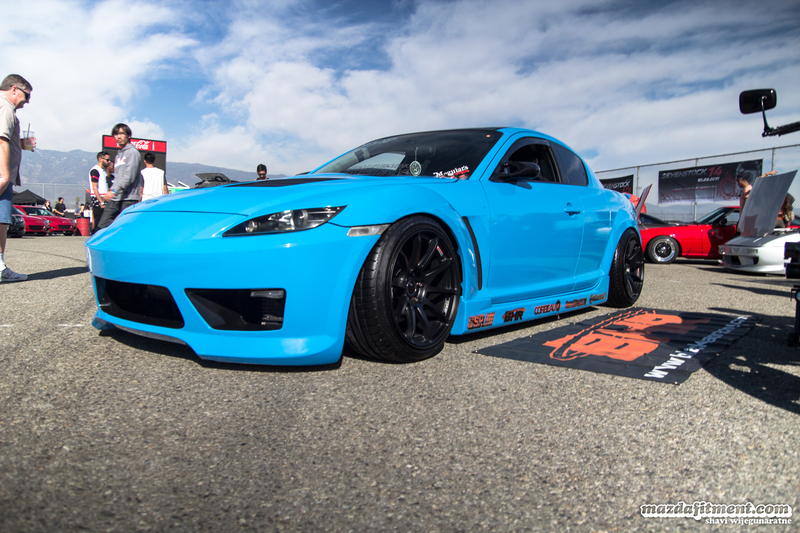 Blue RX-8 on Cosmis Racing XT-206R. 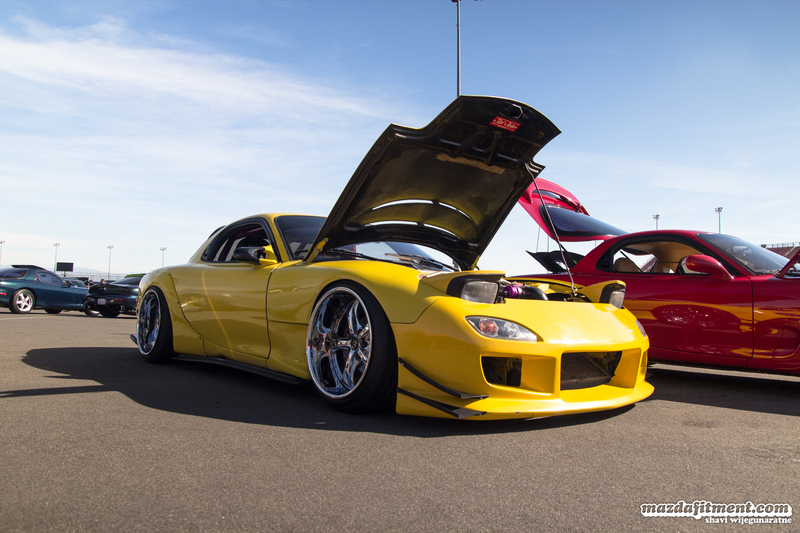 Another FD RX-7 we enjoyed. 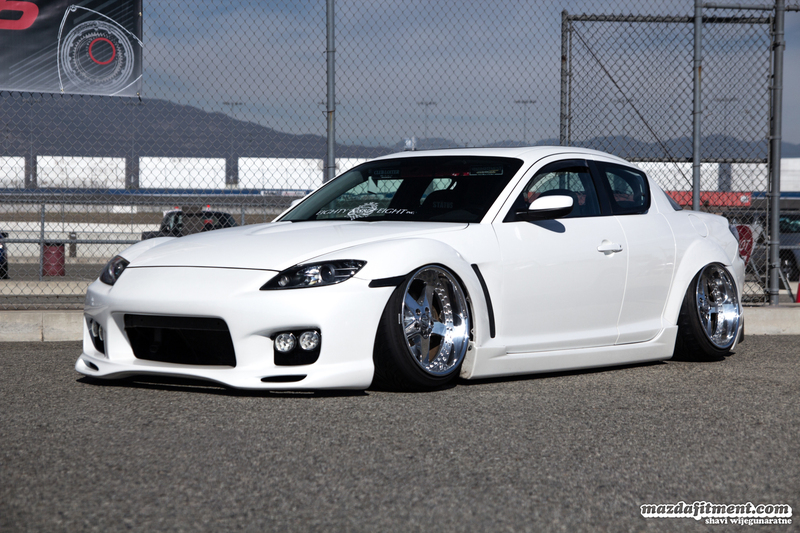 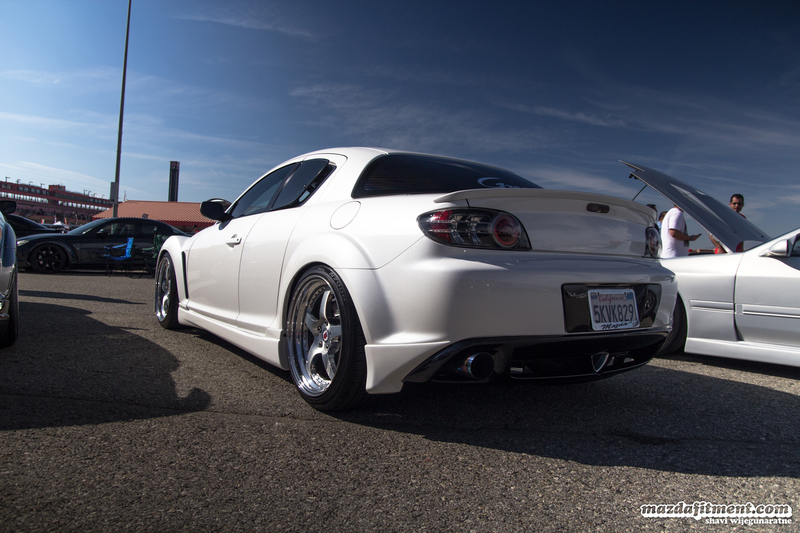 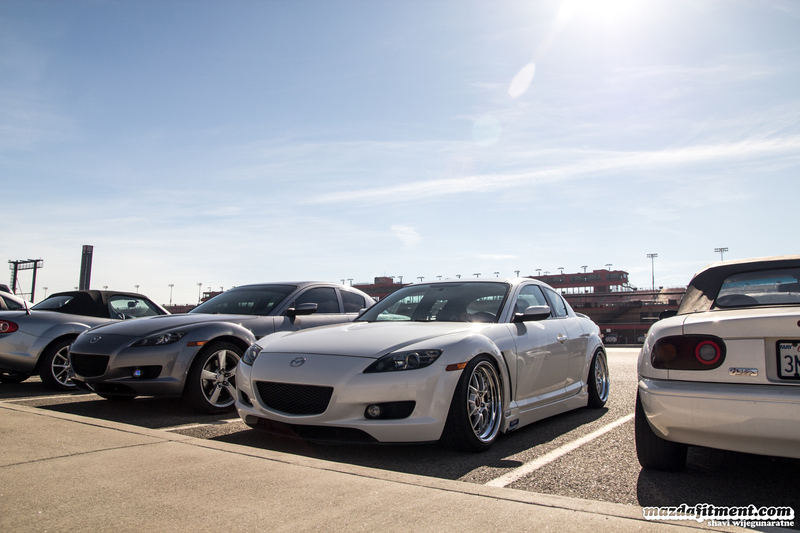 Derek’s RX-8 on Work Equips. 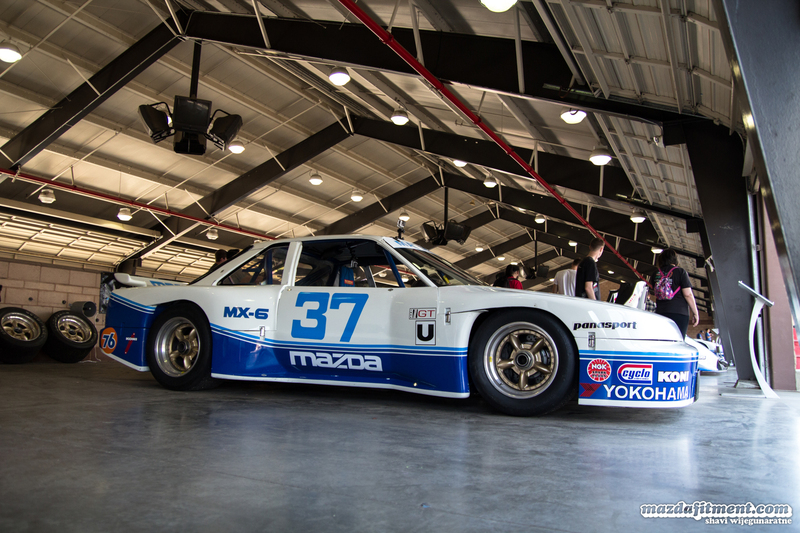 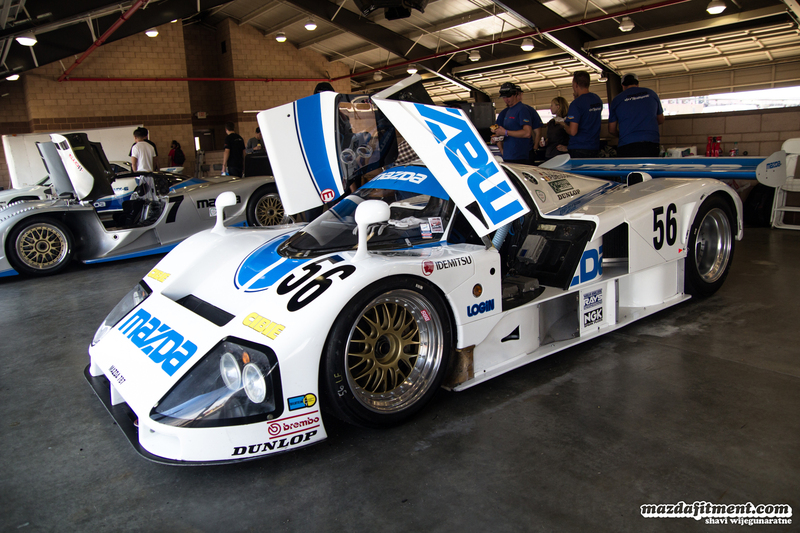 All these older wankel powered cars were in great condition. 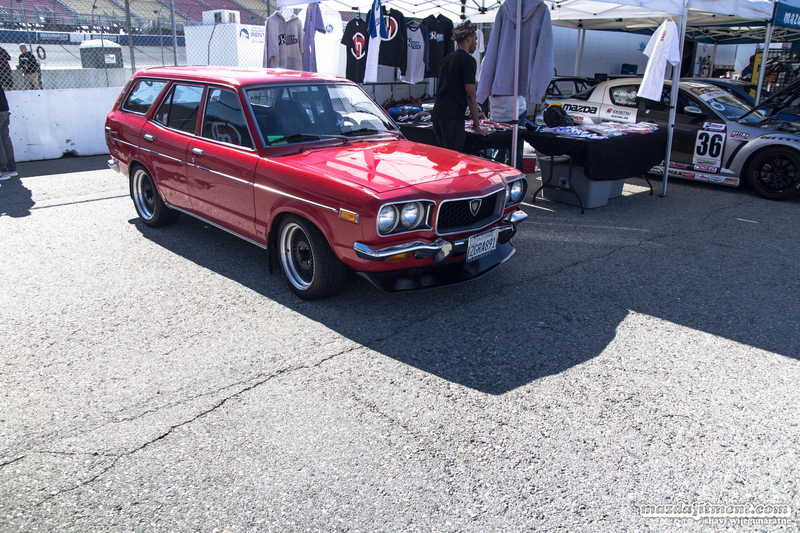 This Capella/RX-2 was too sweet. 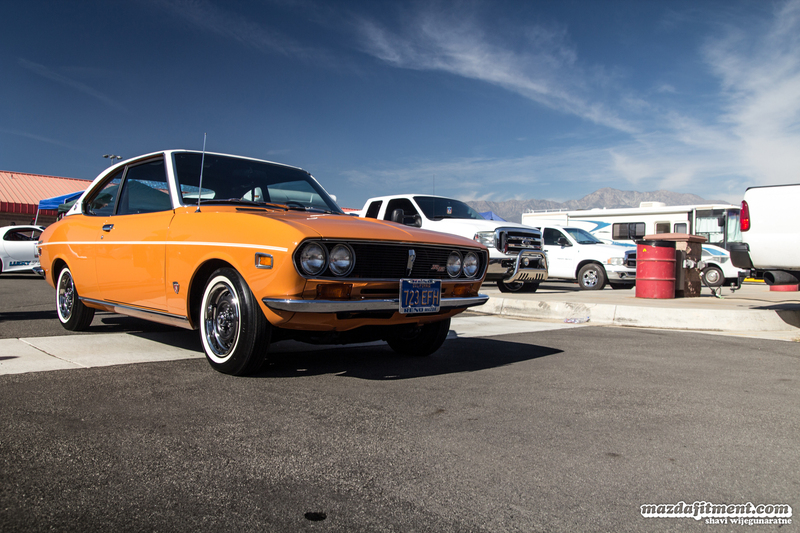 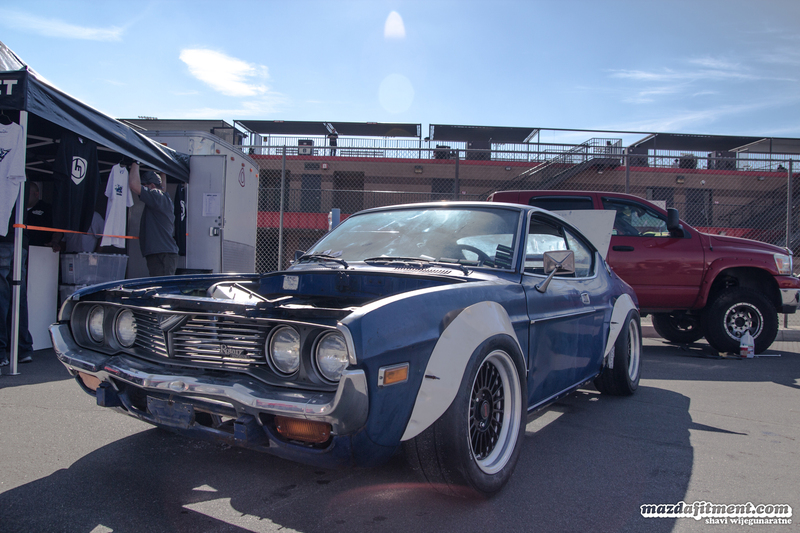 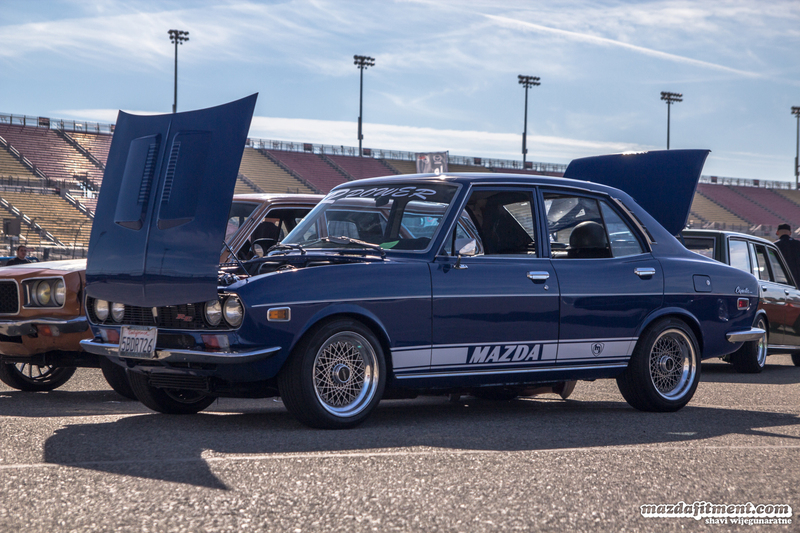 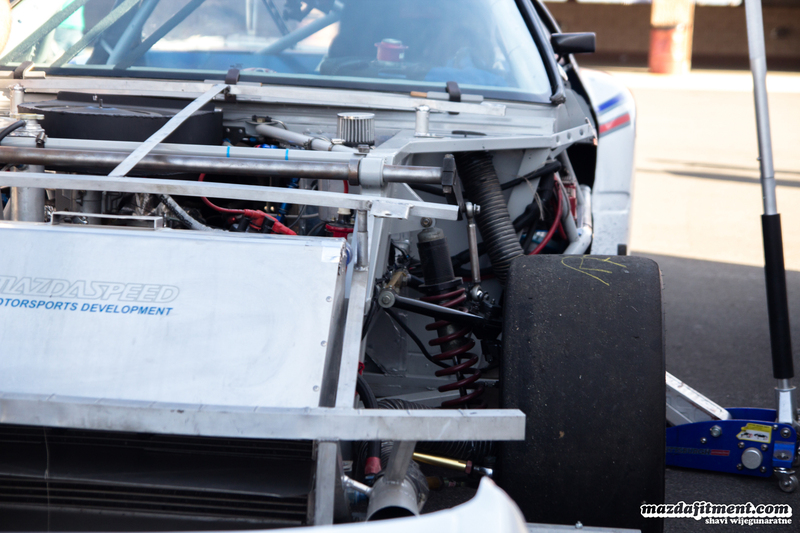 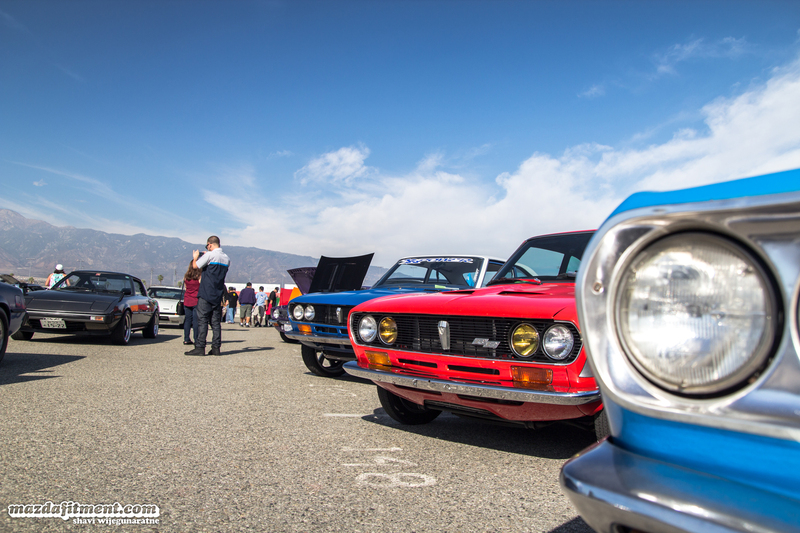 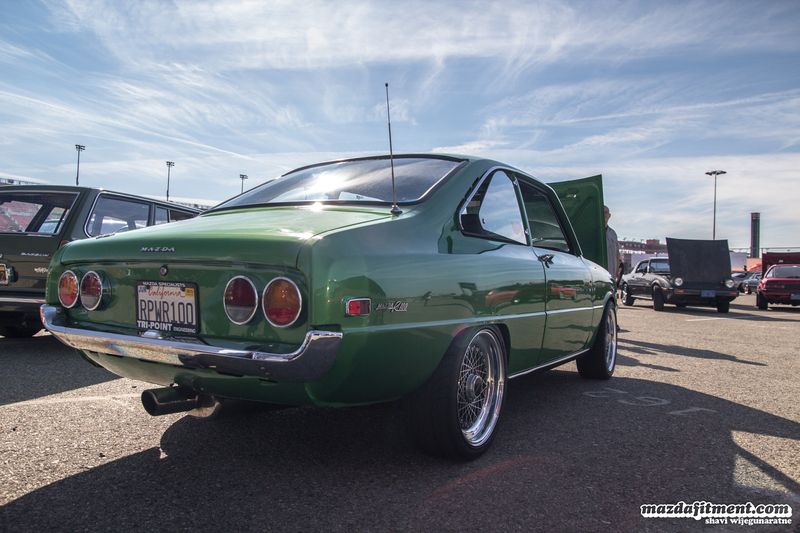 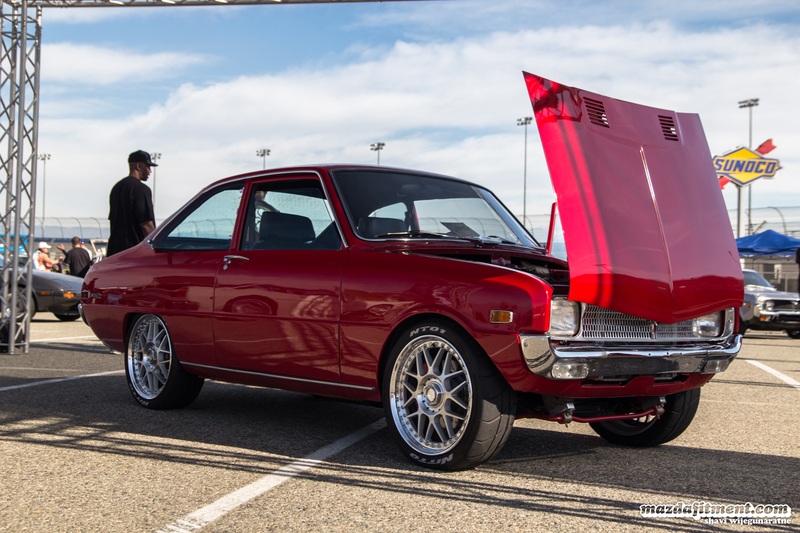 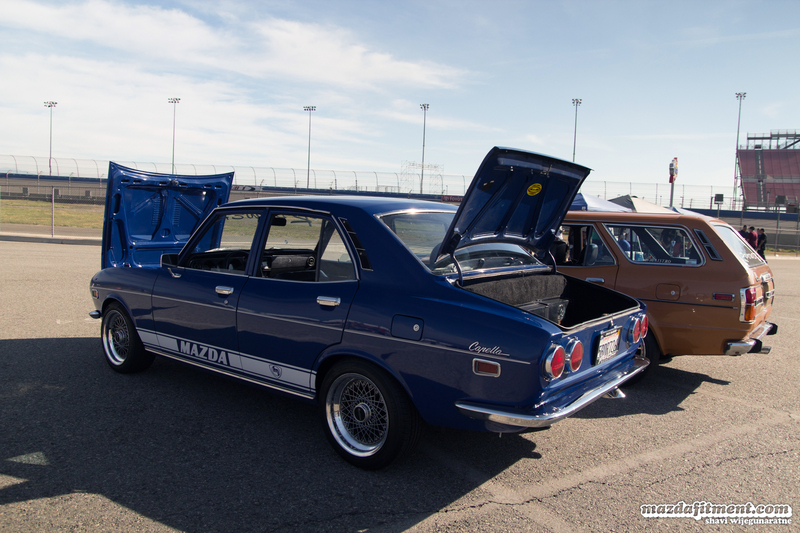 You also had a few Datsuns showing love to the rotary engine. 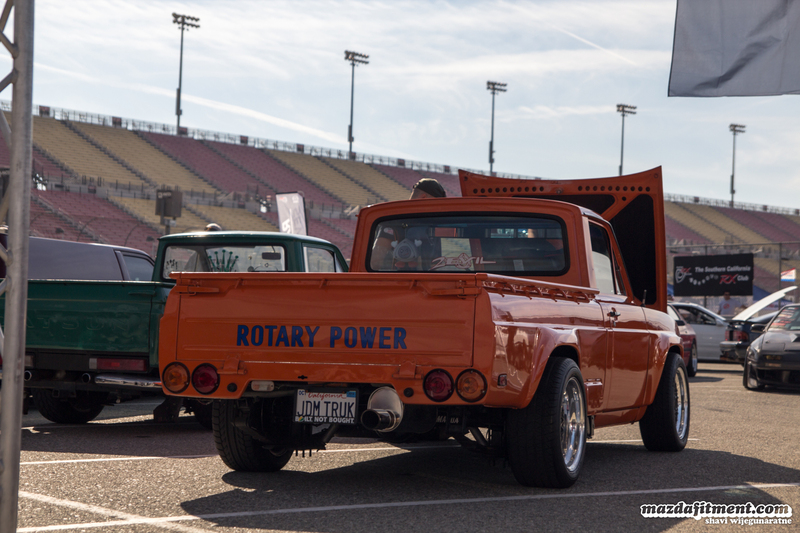 Also Mazda Rotary Pickups came out to play. 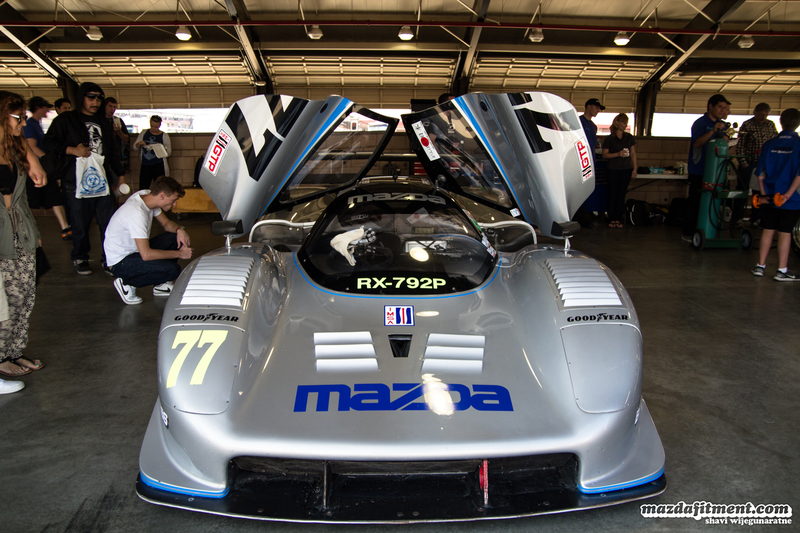 Mazda Corporation came out with their Le Mans cars. 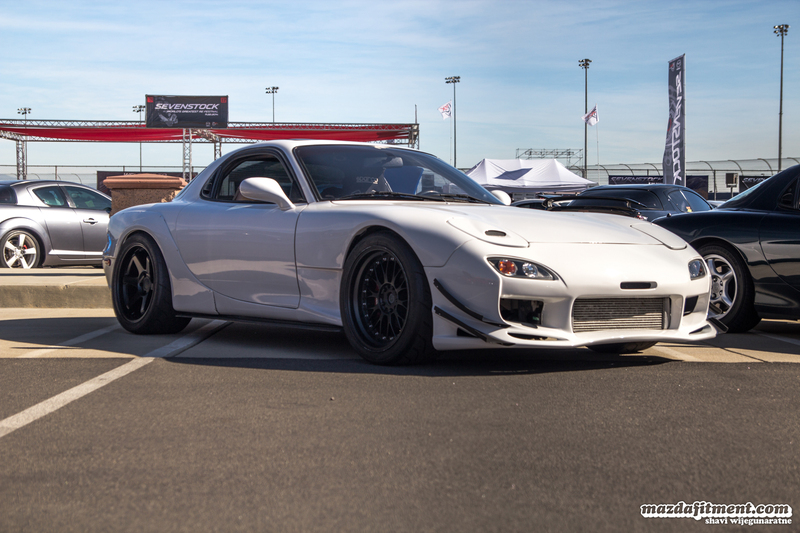 Not so much of a FD RX-7 anymore, but so good. 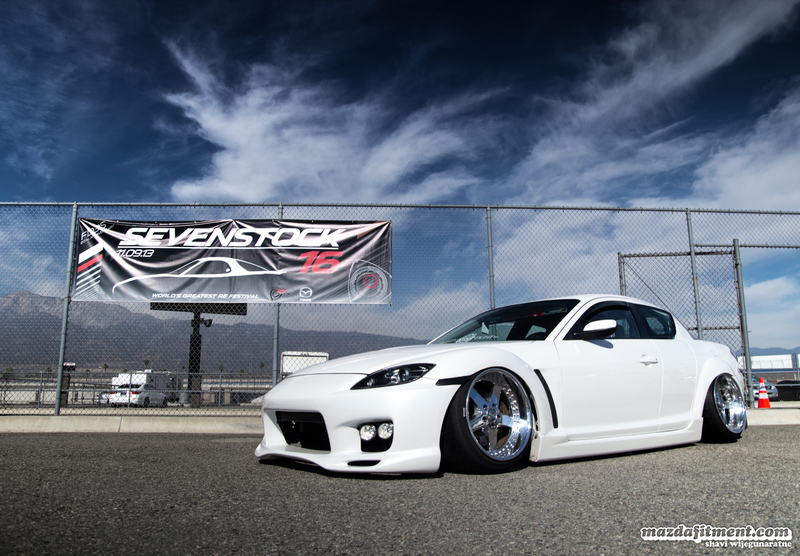 That’s about it for our coverage of SevenStock 17. 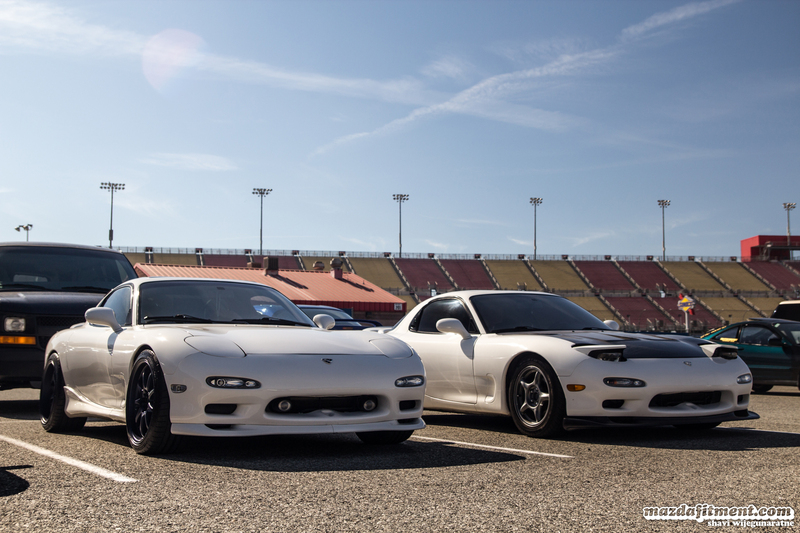 We enjoyed ourselves out there, and will definitely be going again next year. 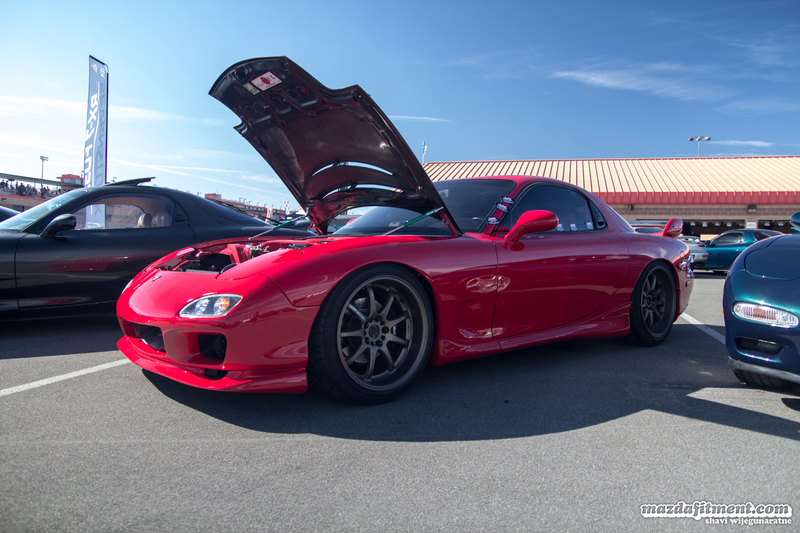 Thanks for putting on a good event.